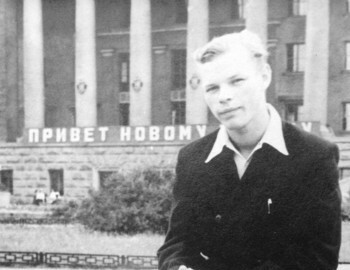 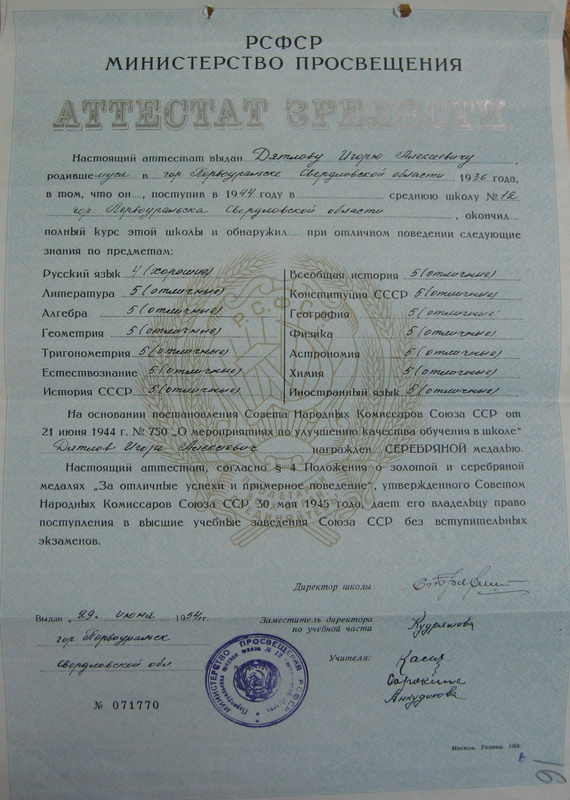 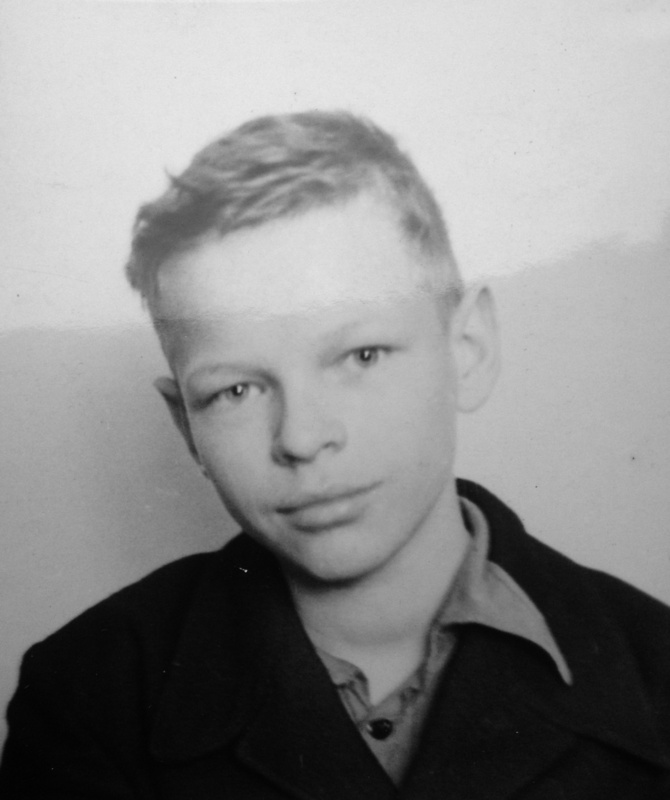 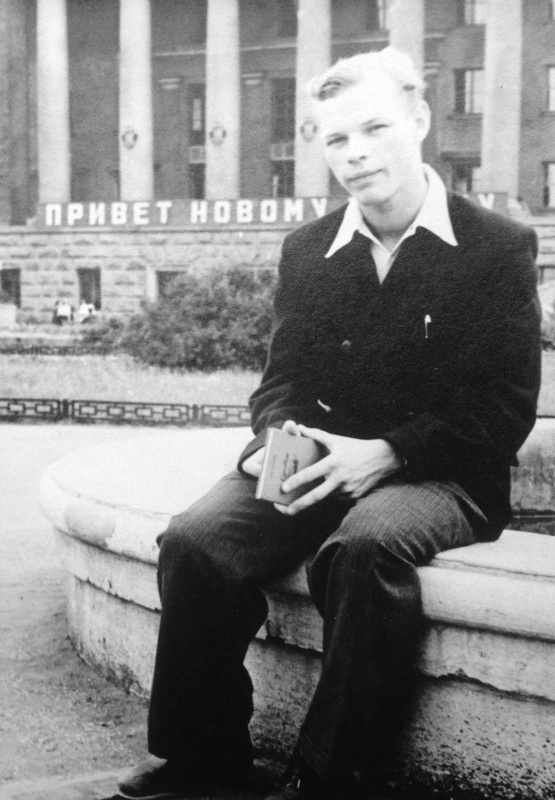 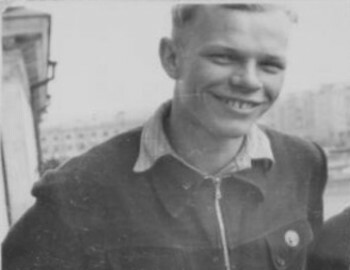 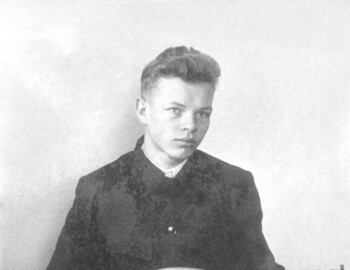 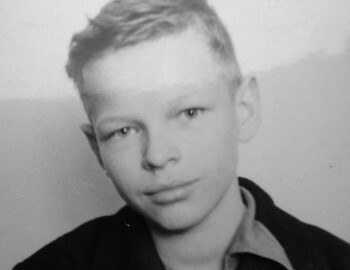 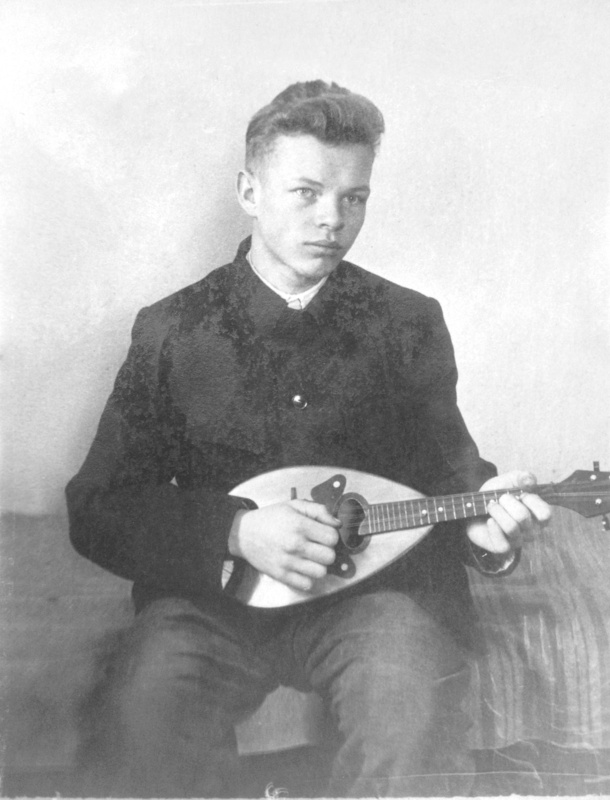 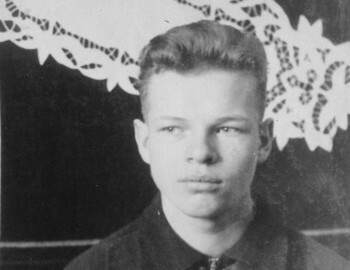 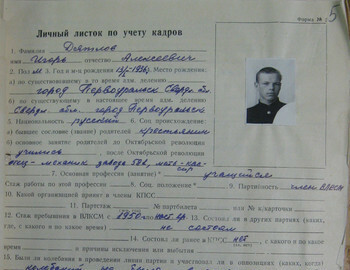 Born on 13 Jan, 1936, USSR. 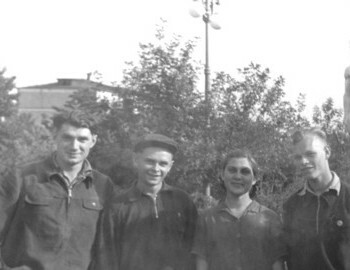 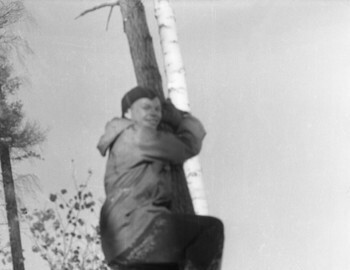 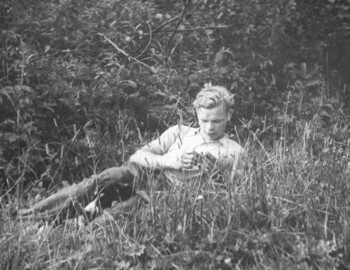 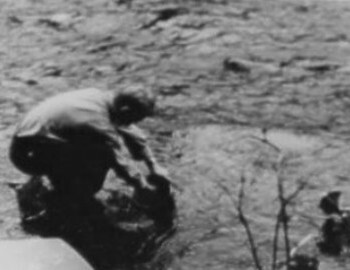 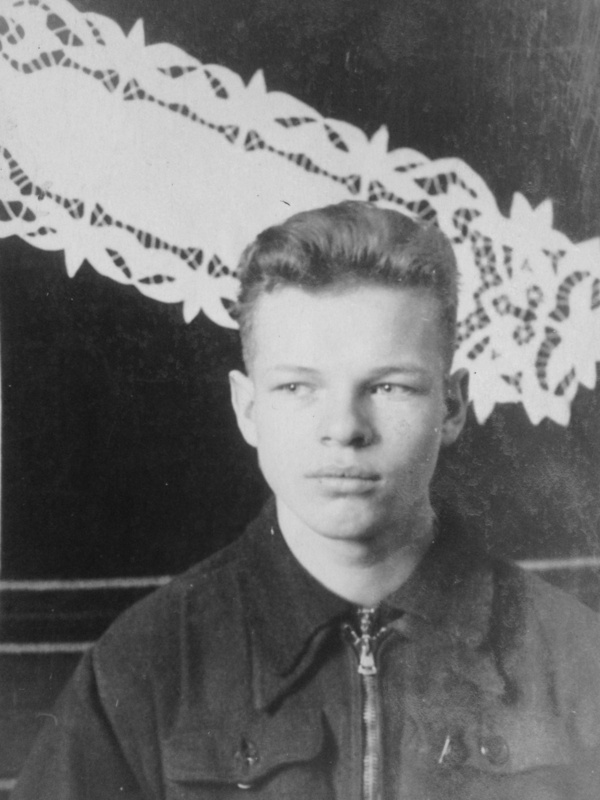 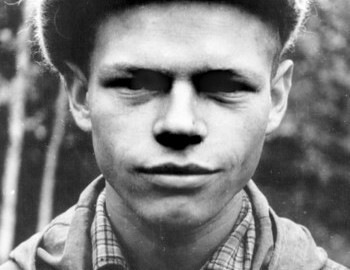 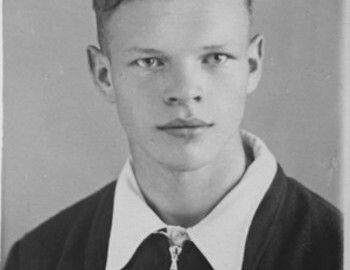 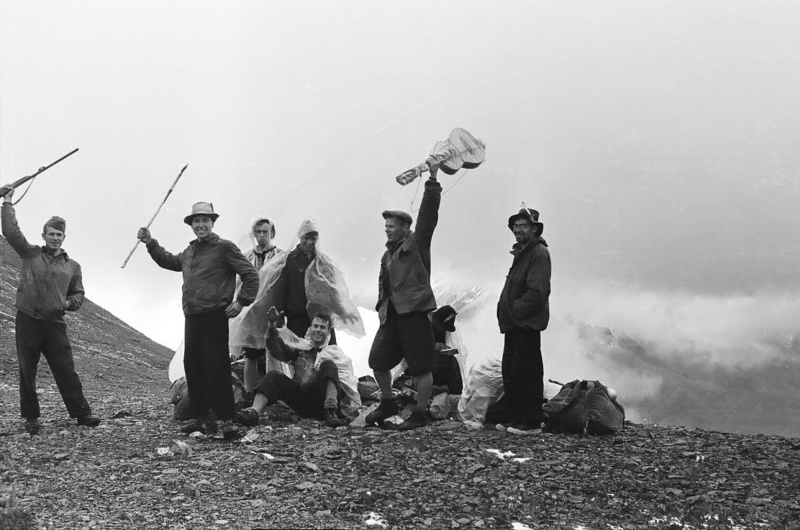 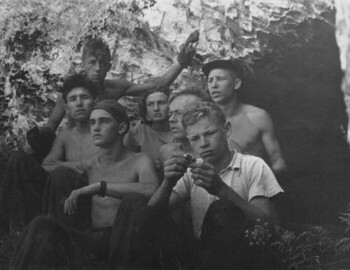 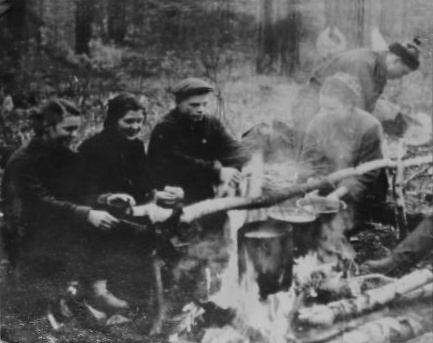 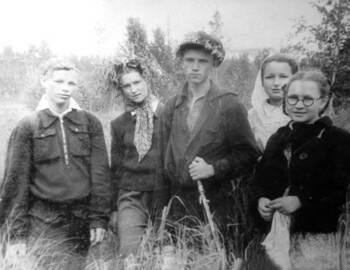 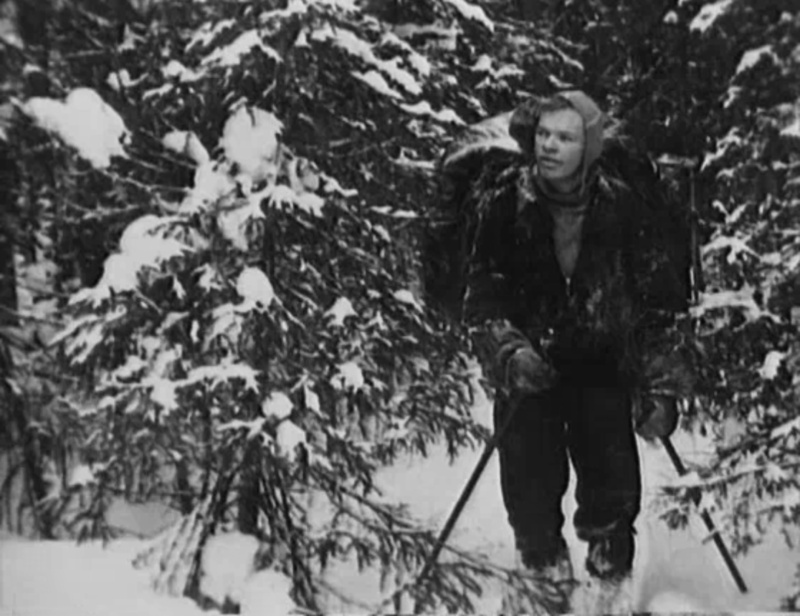 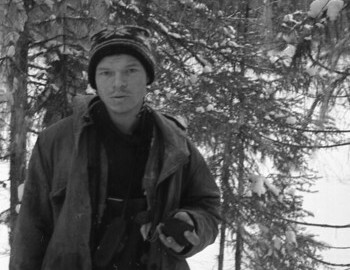 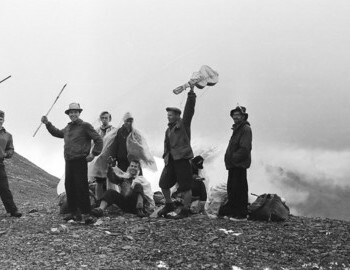 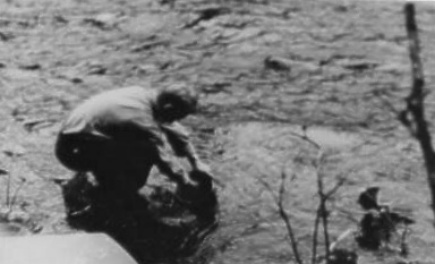 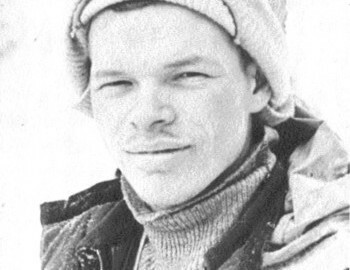 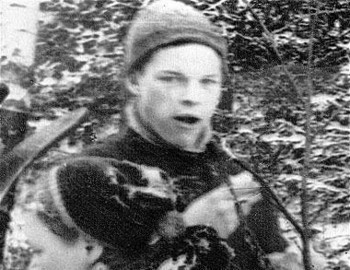 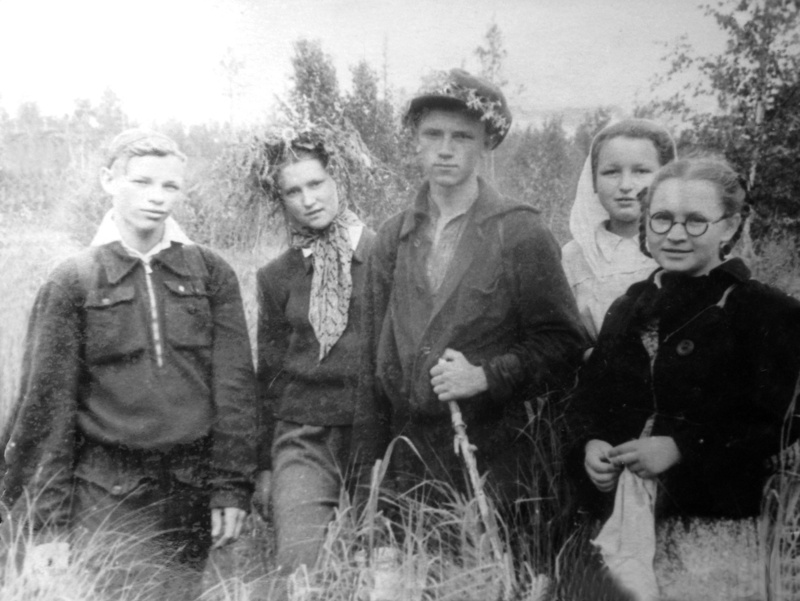 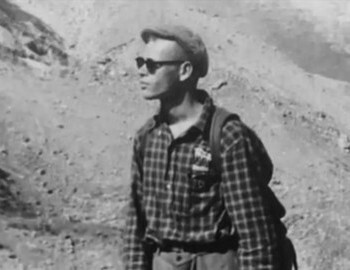 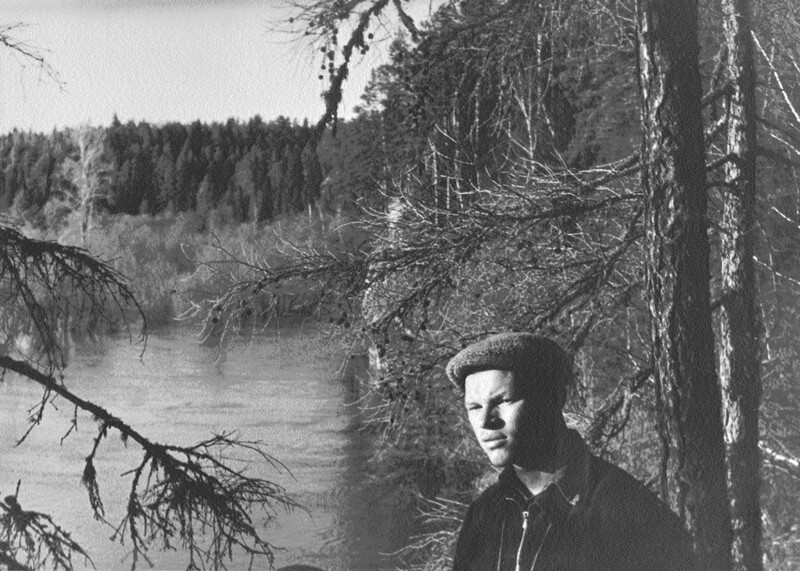 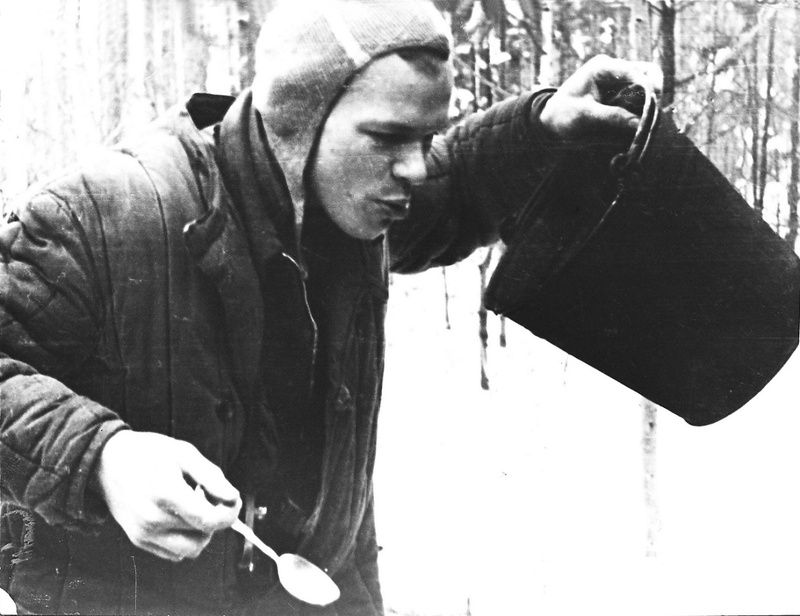 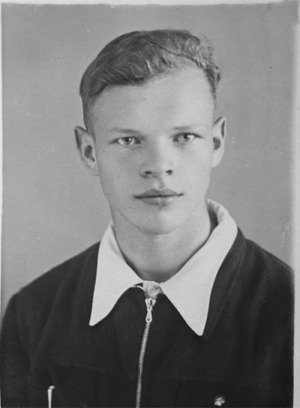 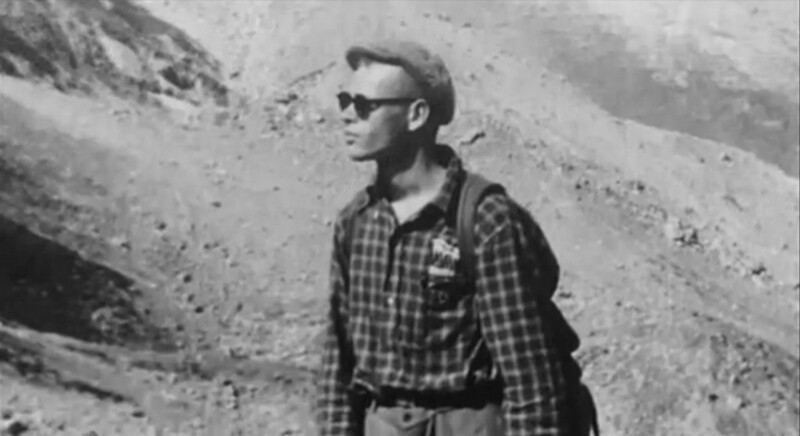 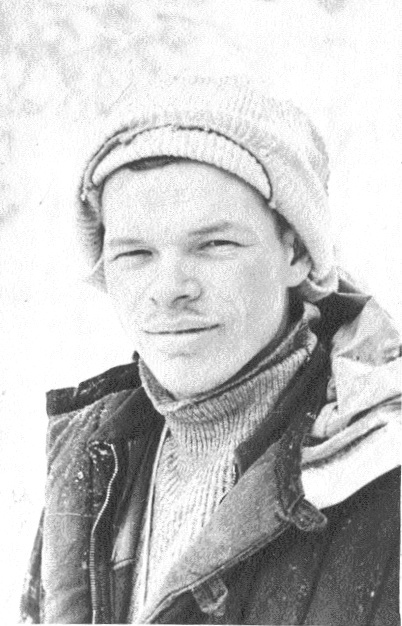 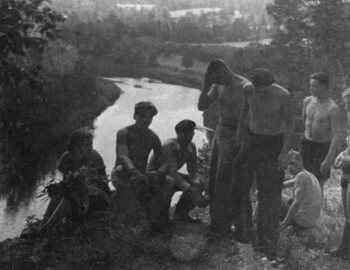 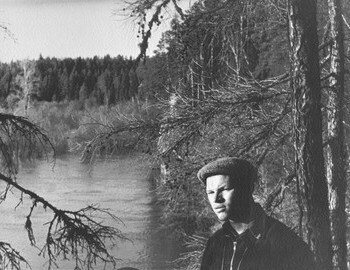 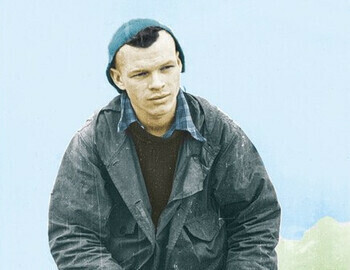 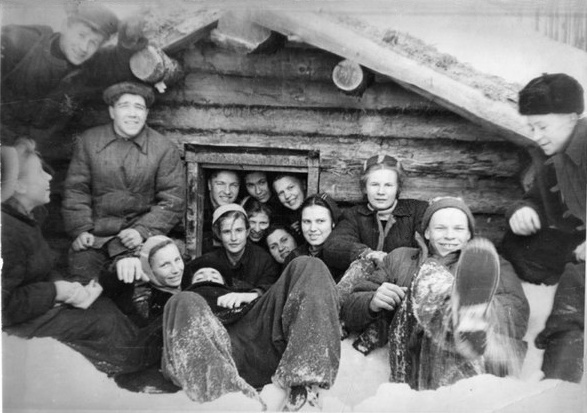 Igor was the leader of the ill-fated hiking group; the whole incident is named after him. 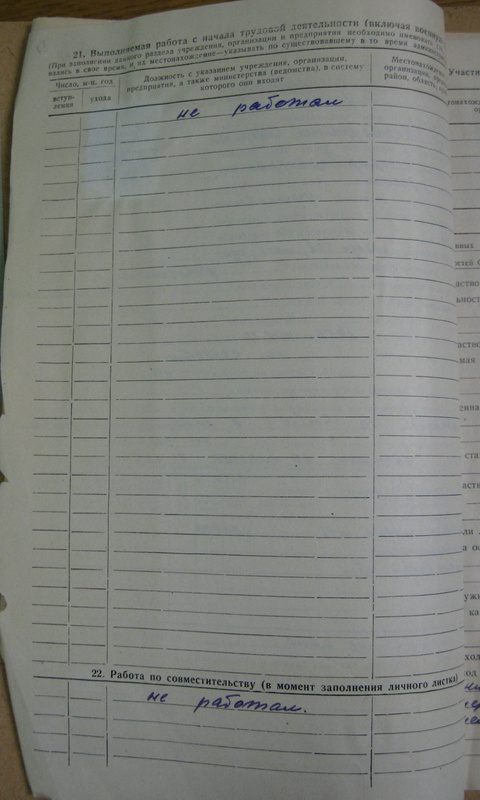 He was a student of the 5th Faculty of Radio Engineering at UPI university. 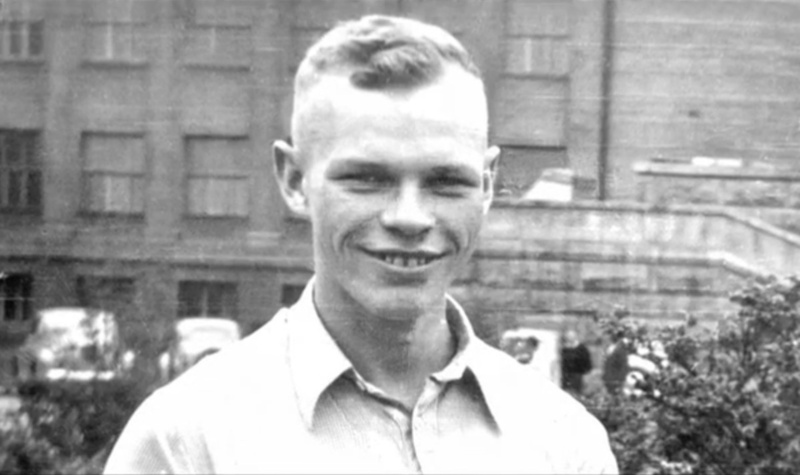 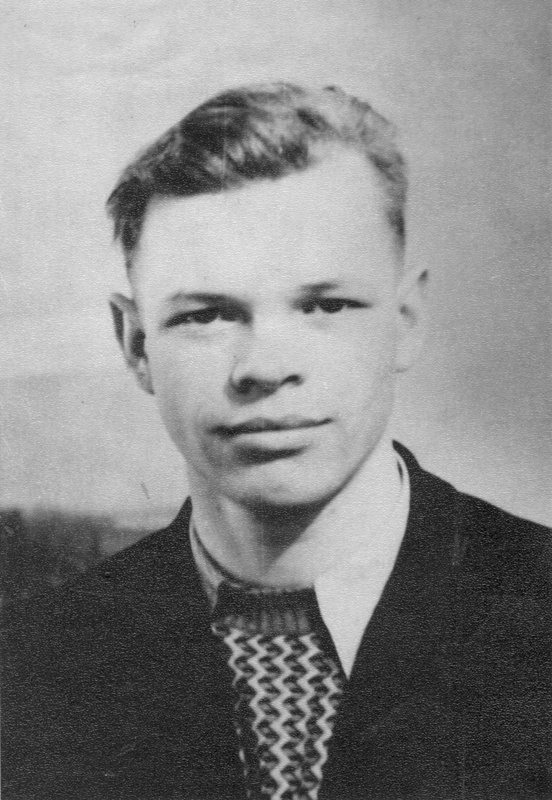 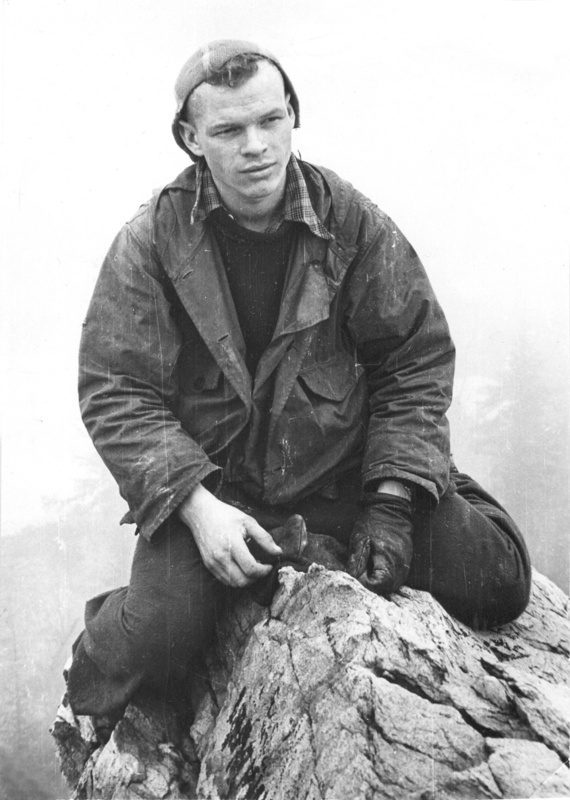 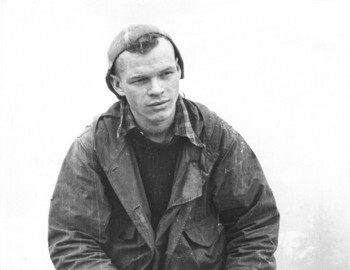 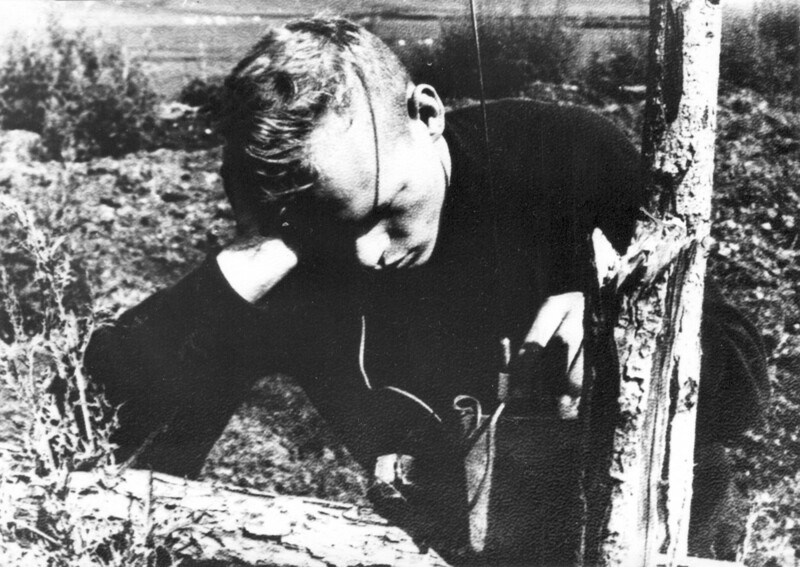 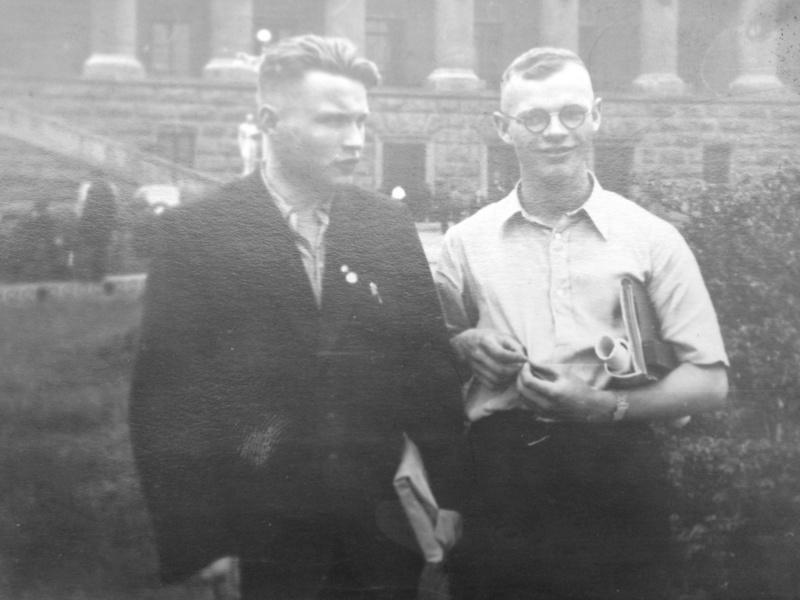 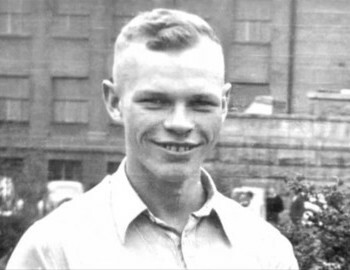 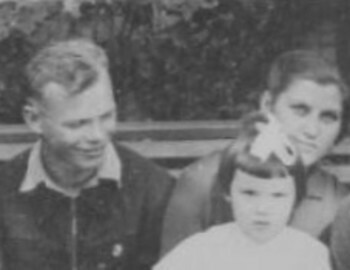 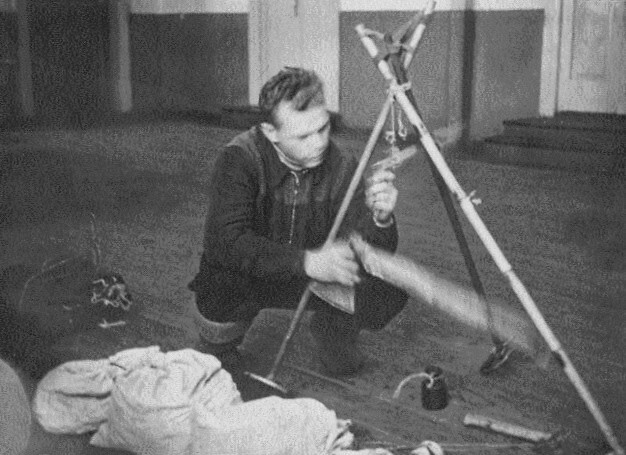 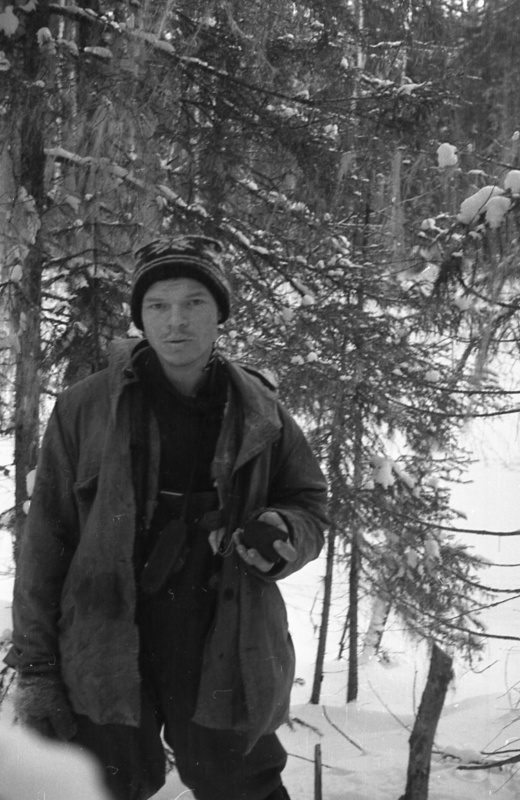 A talented engineer, he designed and assembled a radio during his 2nd year that was used during hikes in 1956 in the Sayan Mountains. 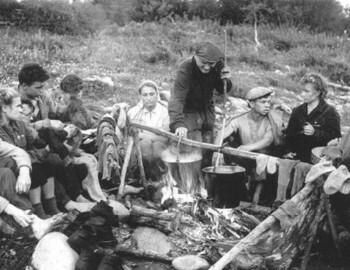 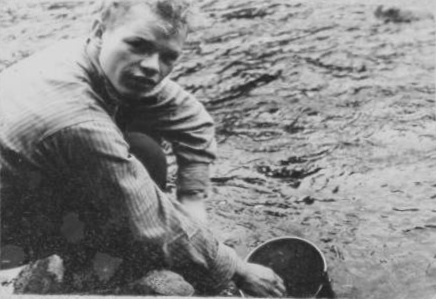 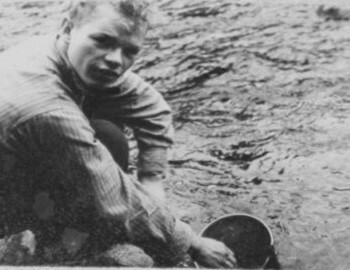 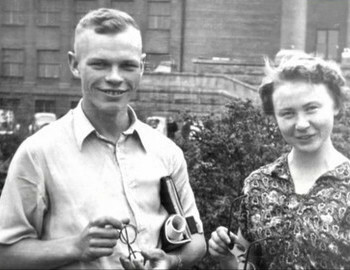 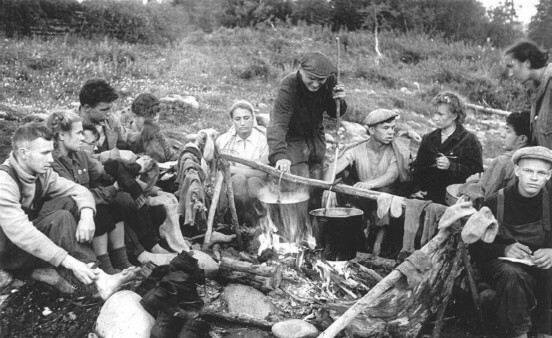 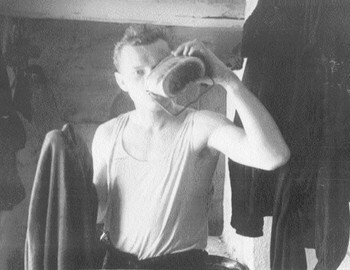 He also designed a small stove that he used after 1958 by Dyatlov himself and that he had brought with him on this trip. 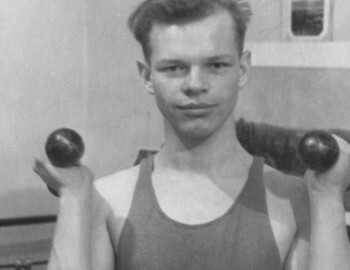 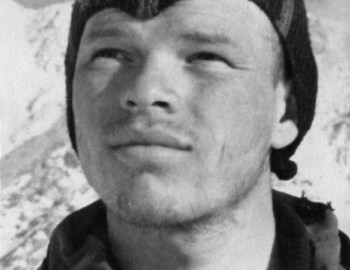 Igor Dyatlov was one of the most experienced athletes in the group. 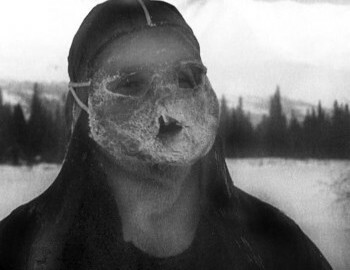 Hiking was Igor Dyatlov’s one true love. 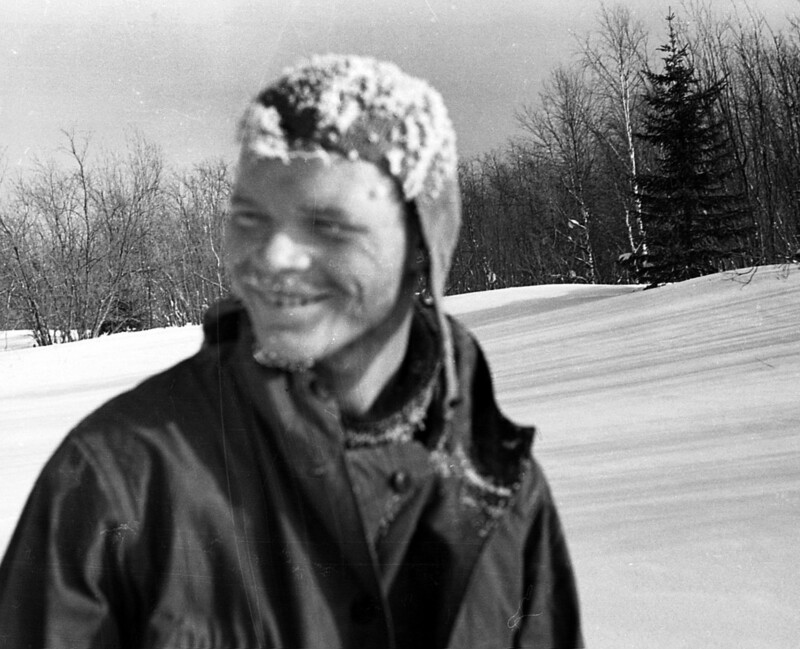 He was passionate about the Ural Mountains. 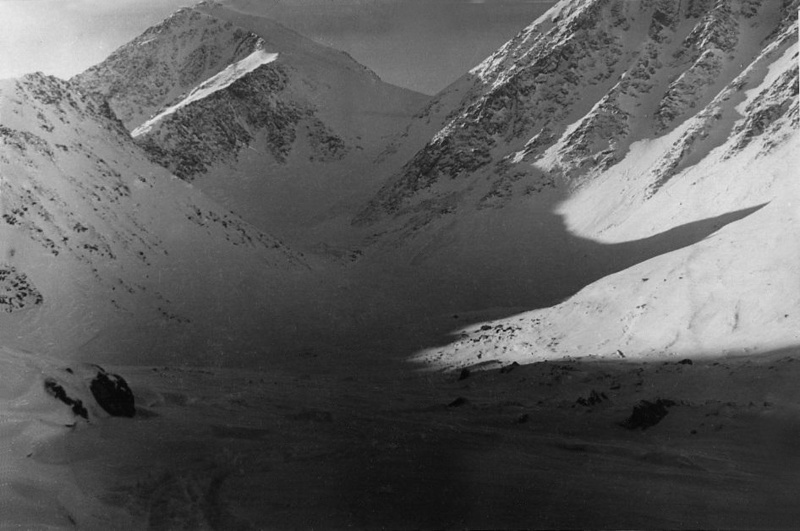 The Urals are seldom compared to the Himalayas or the Alps: they are not seen as among the most dangerous mountains in the world, nor do they inspire modern climbers in terms of altitude or scale. 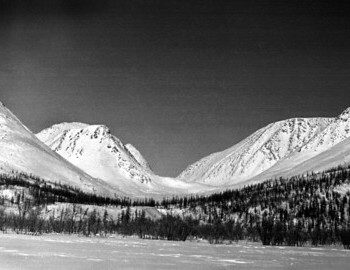 The Urals have no major precipices, and few challenging crags. 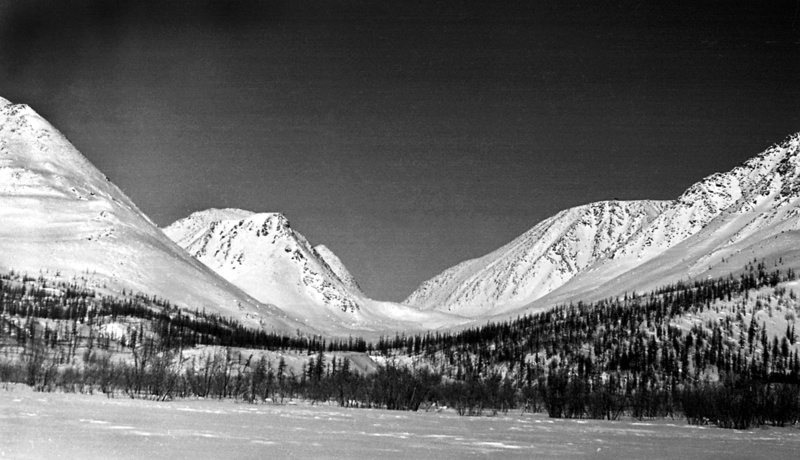 But they do have crevasses and magnetic anomalies which can throw a compass up to thirty percent off true. 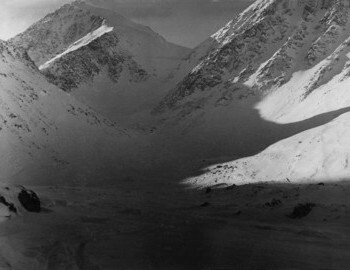 in addition to these hazards, nature has created a wind-tunnel between two particular mountain peaks: Kholat Syakhl (peak 1079 m) and Peak 880 (905.4 on contemporary maps). 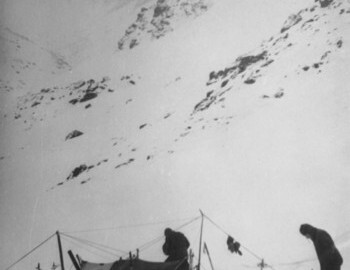 One would have to pass this tunnel in order to ascend onto the peak known as Otorten which, many believe, was sacred for the local indigenous people, the Mansi. 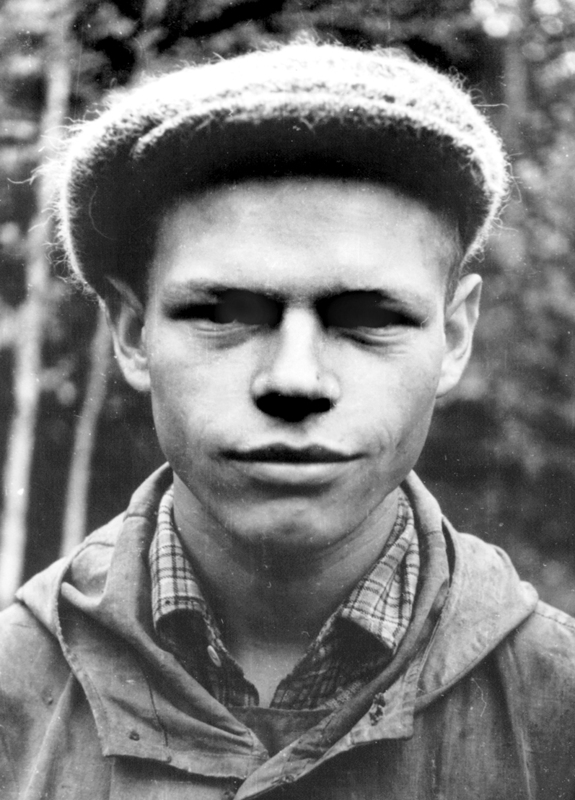 Legend says ‘Otorten’ means ‘Don’t go there’. 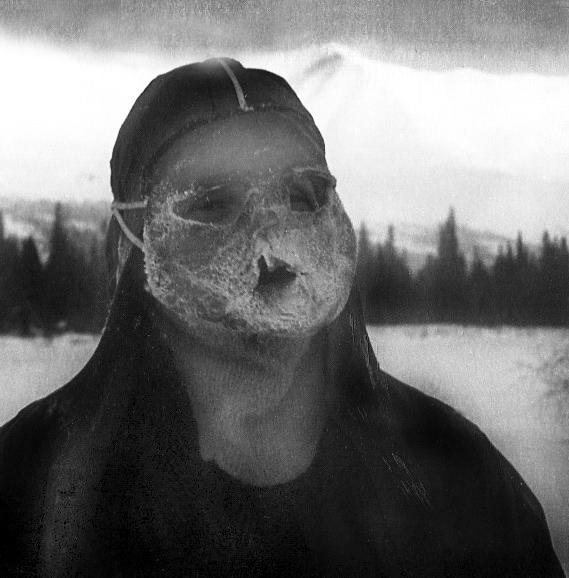 This is exactly where Igor Dyatlov wanted to go. 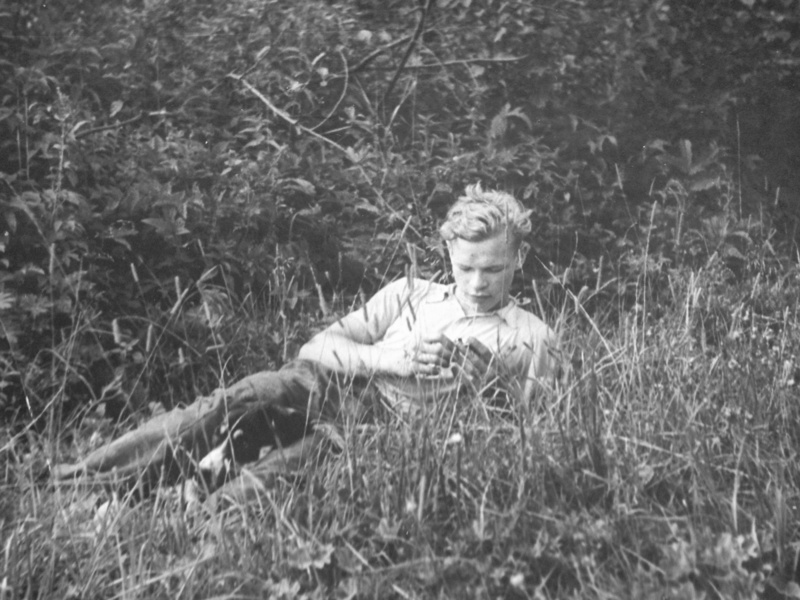 He liked breaking rules. 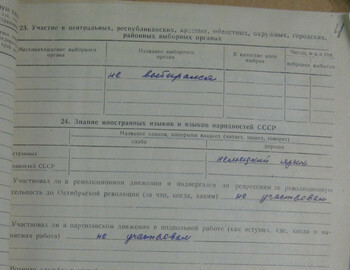 Dyatlov was neither tall nor muscular. 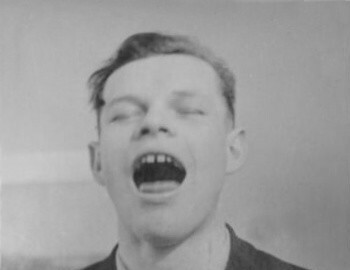 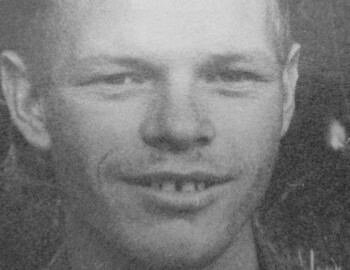 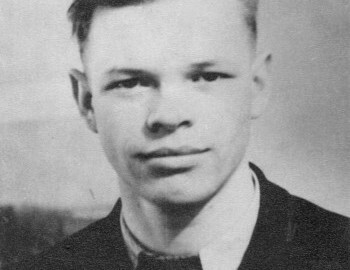 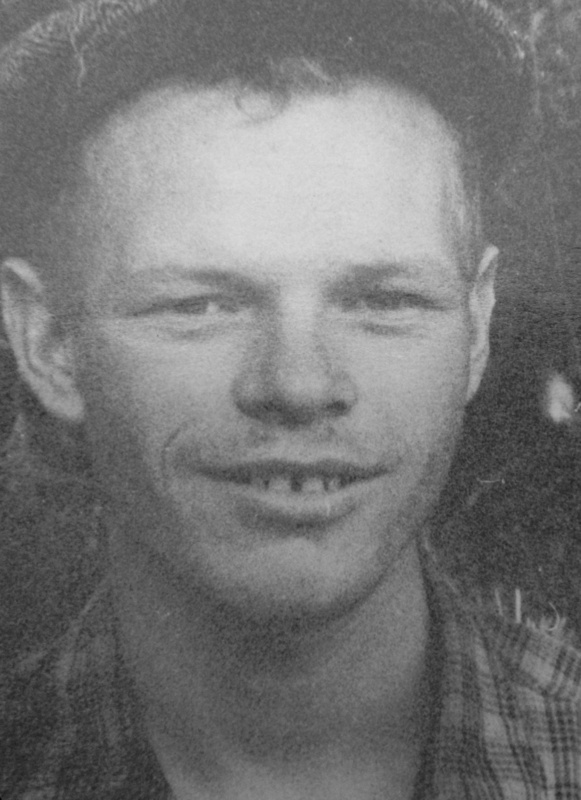 He had a gap in his teeth, and was not especially good-looking. 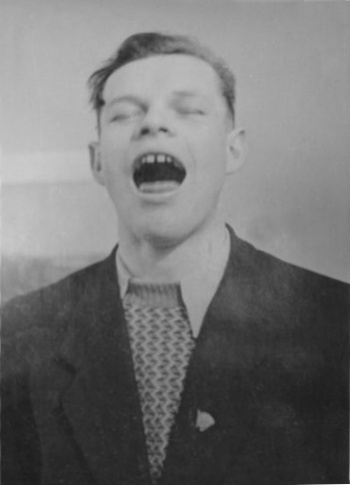 But there was something extremely charismatic about him. 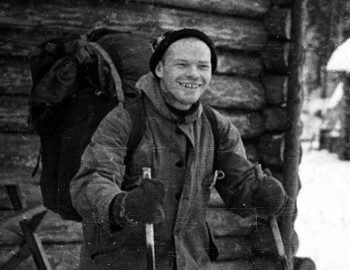 His passion for expeditions was almost maniacal. 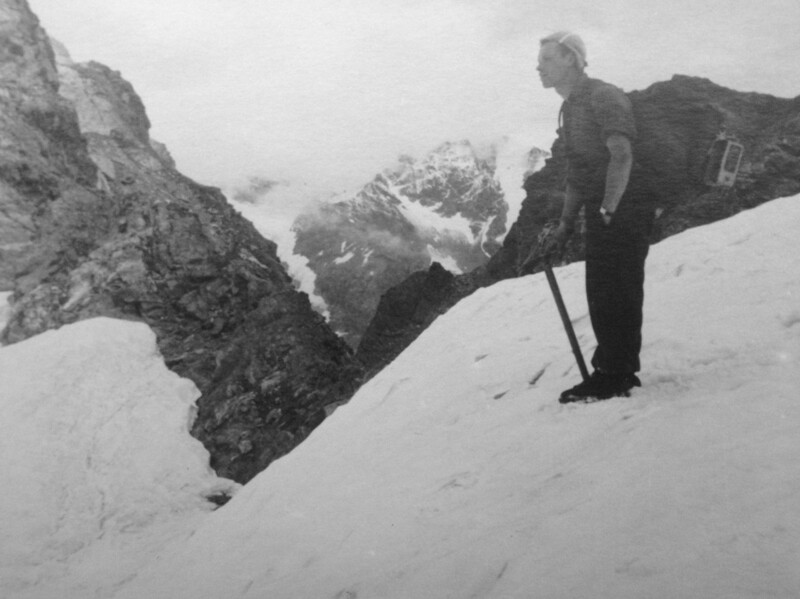 For him the mountains represented a journey into a world of freedom, a joyous relief from the mundane life and rules. When he went on expeditions, he was the one in charge. 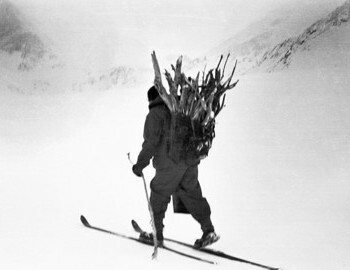 In the mountains he made his own decisions and was able to test his mettle and his independence. 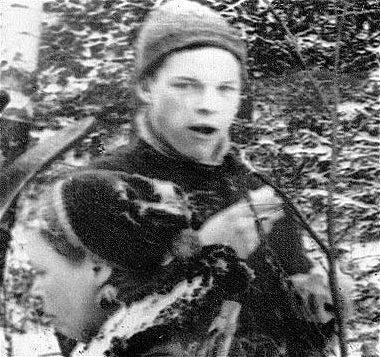 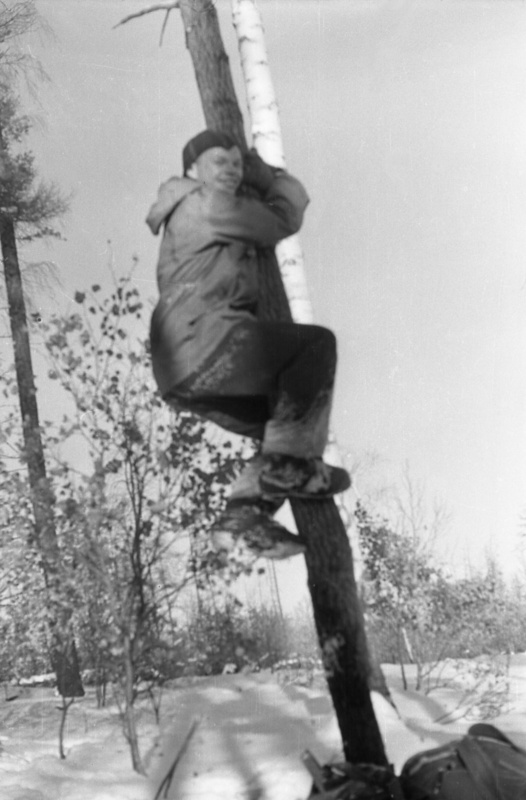 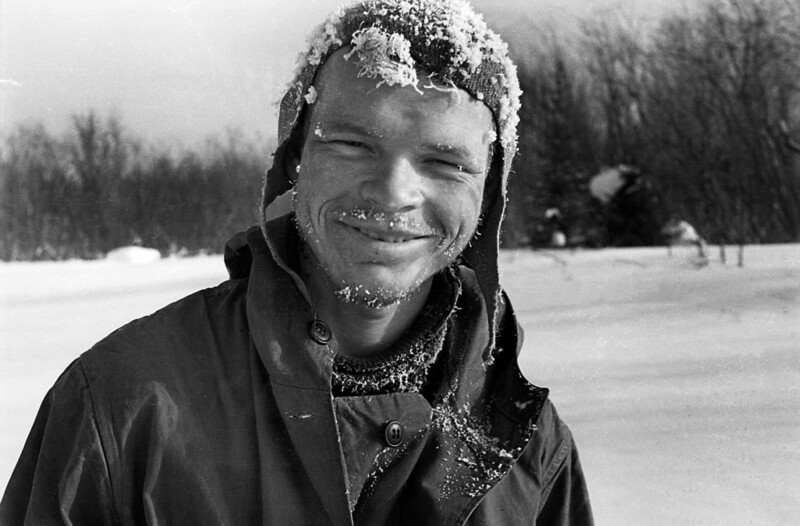 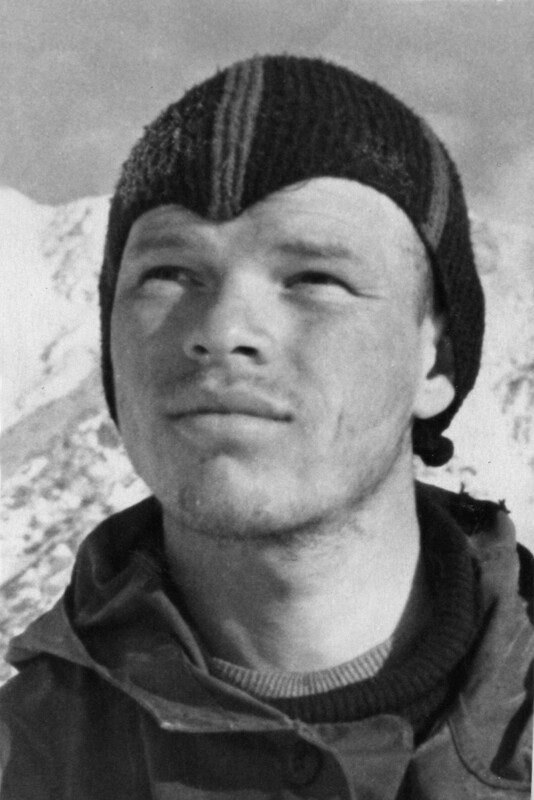 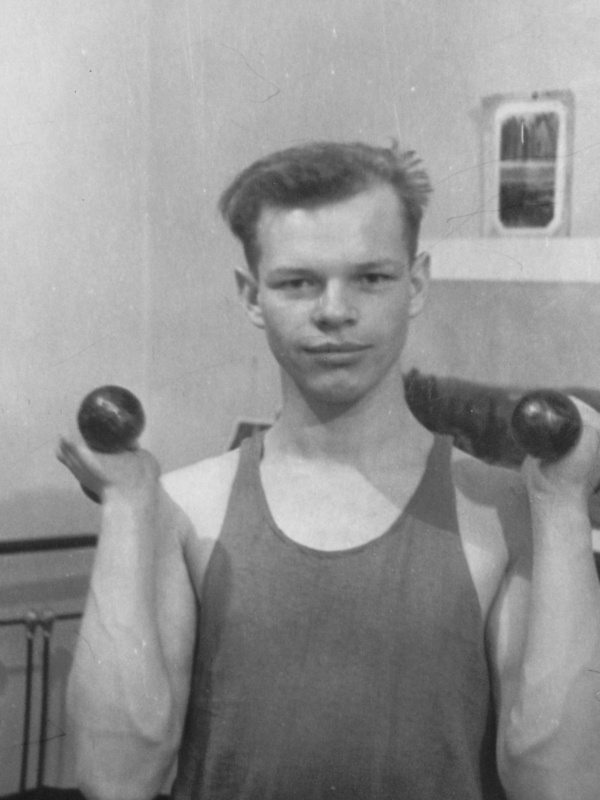 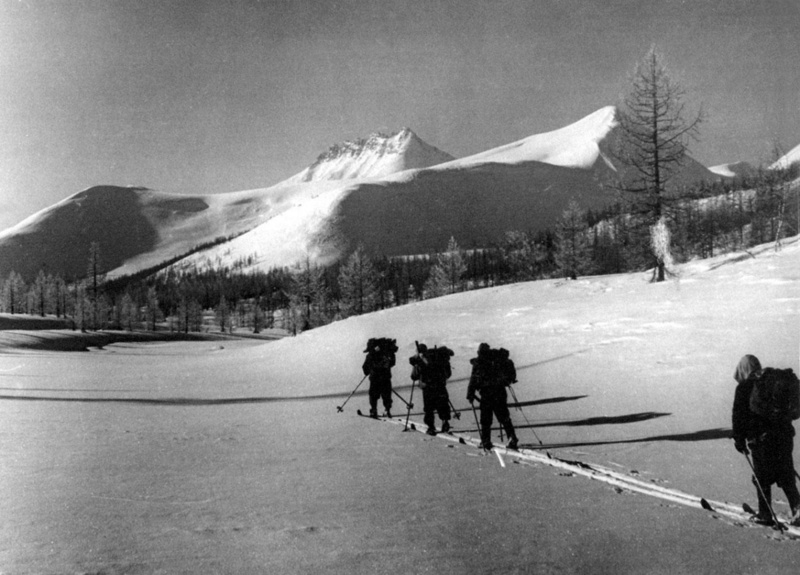 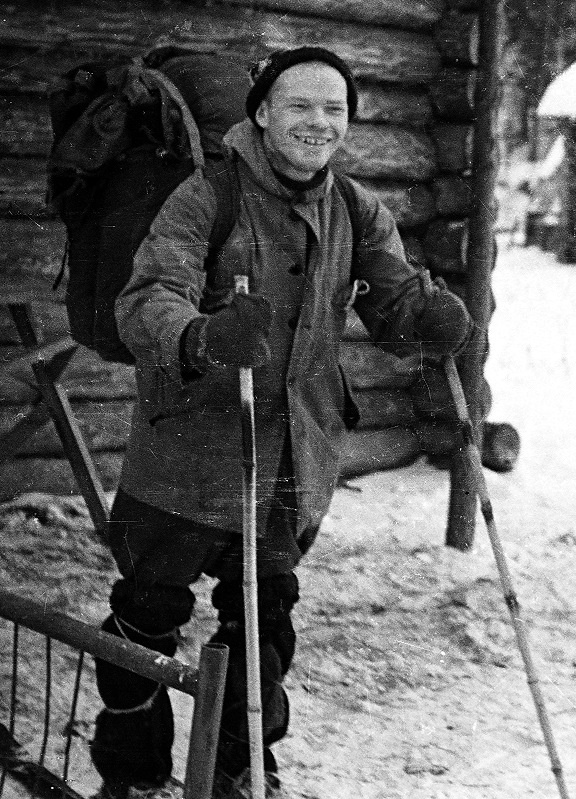 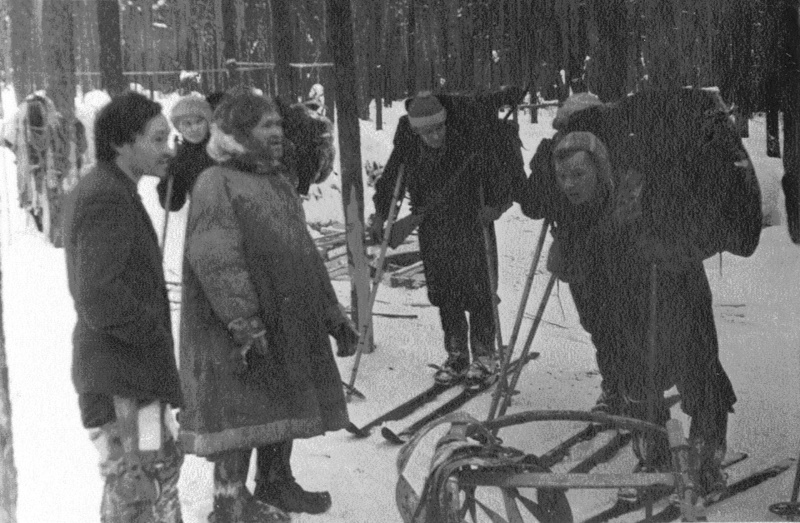 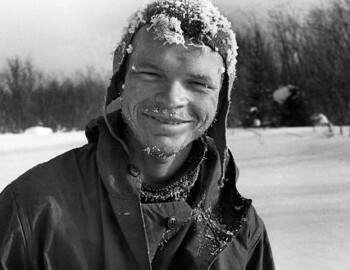 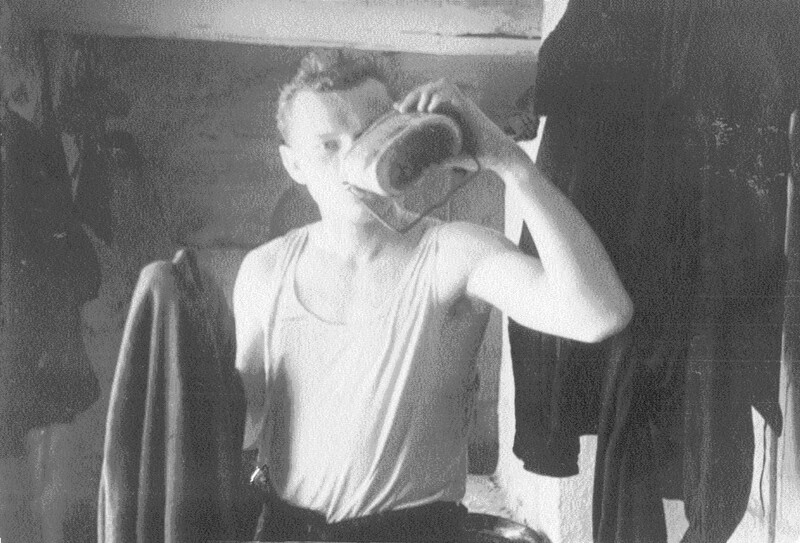 At that time, Dyatlov was at the peak of his physical and athletic ability and was respected by the ski-hiking community in Sverdlovsk. 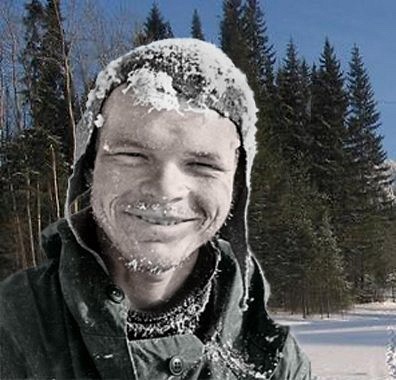 His life will be remembered as an exciting adventure in the wintry, treacherous mountains. 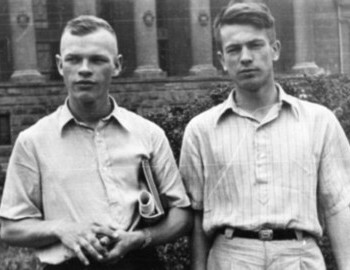 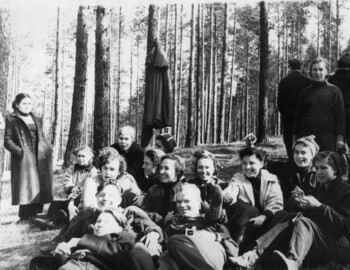 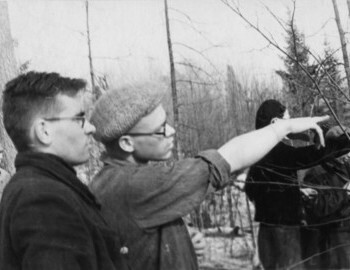 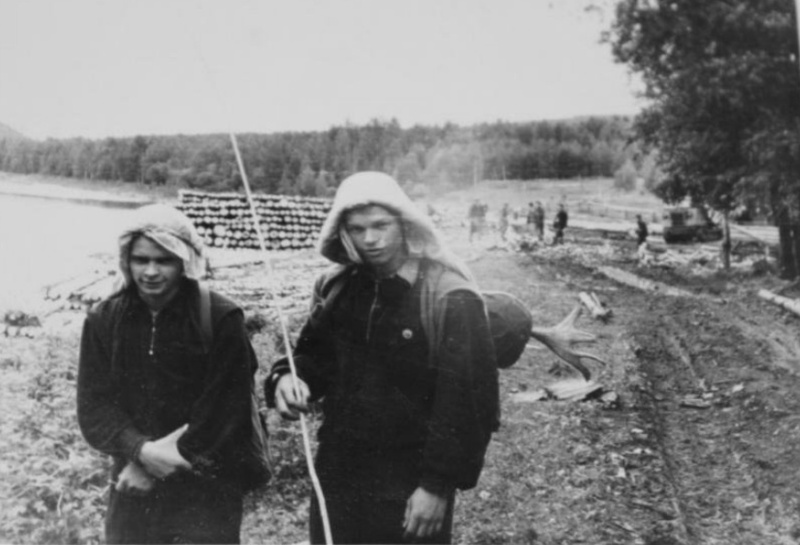 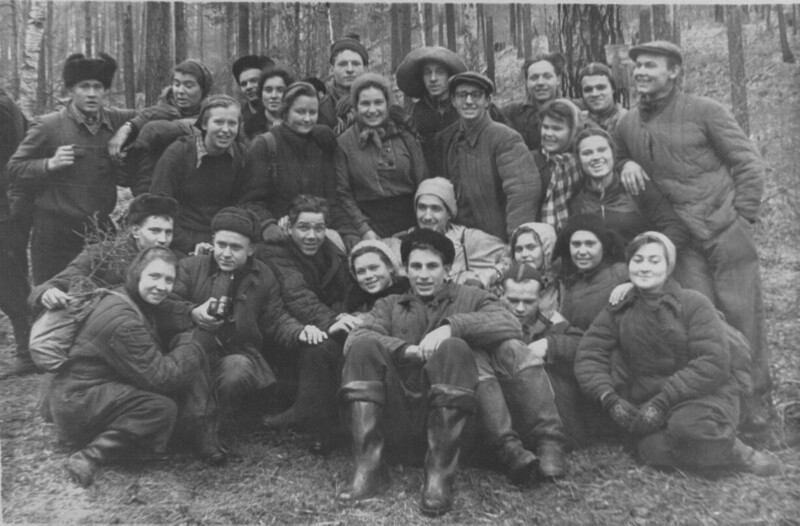 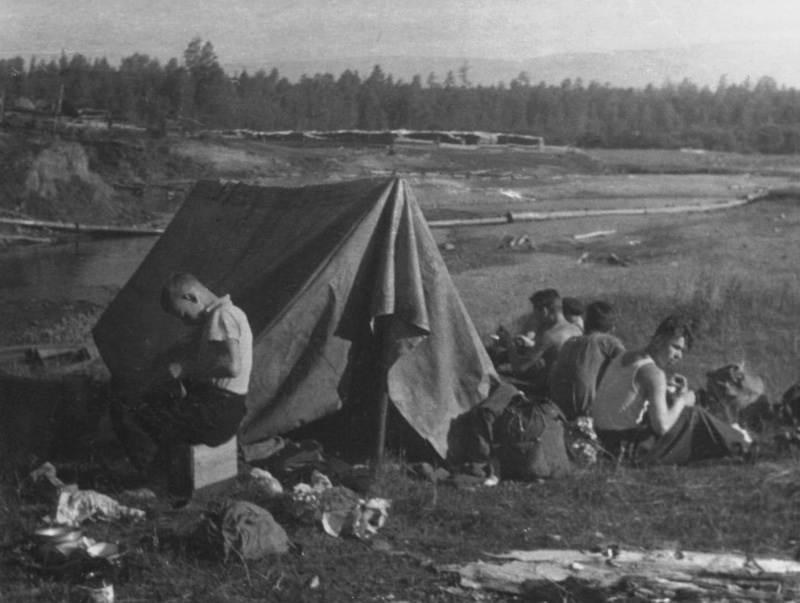 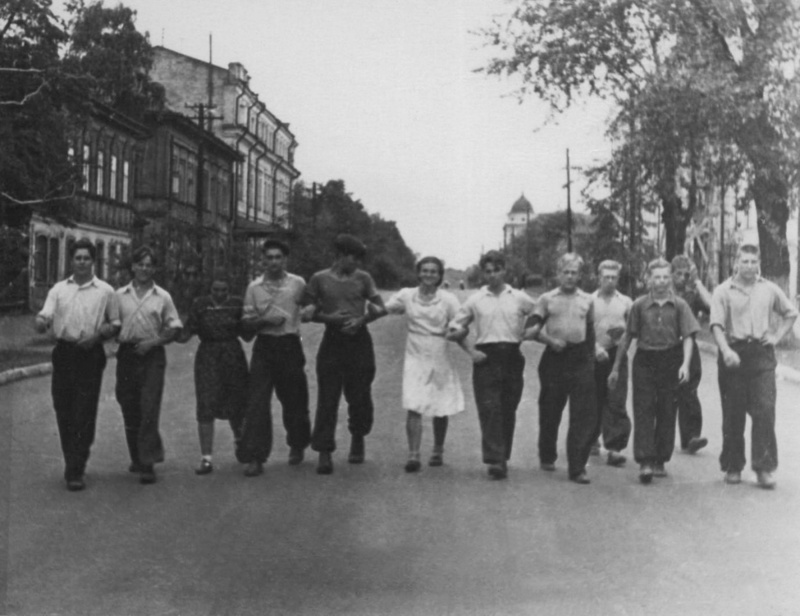 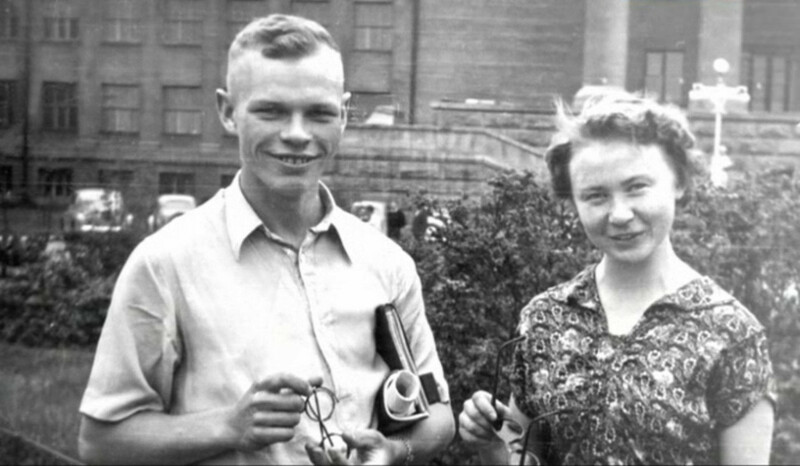 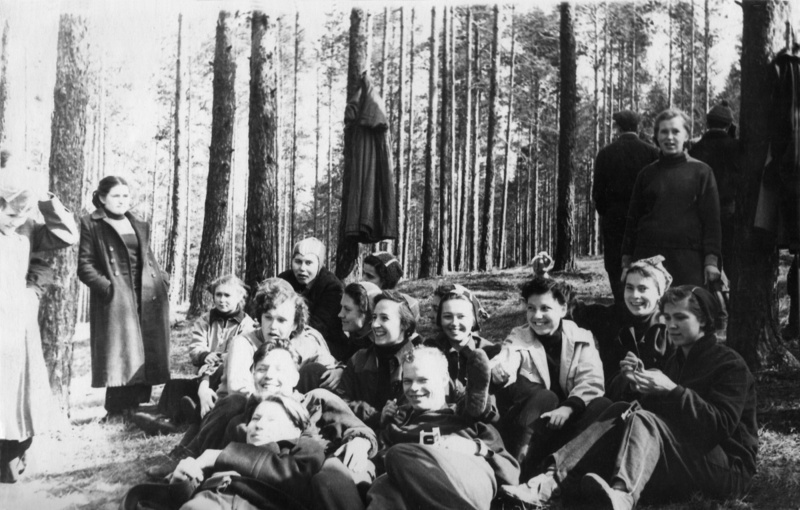 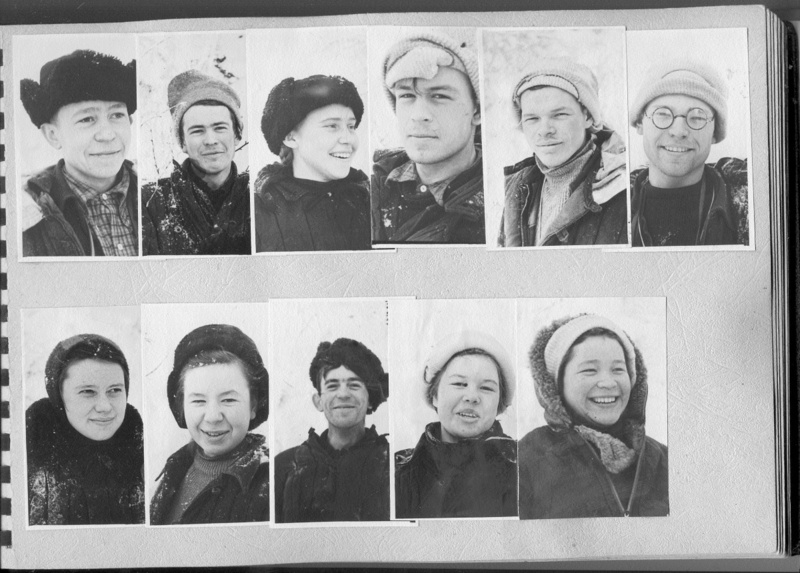 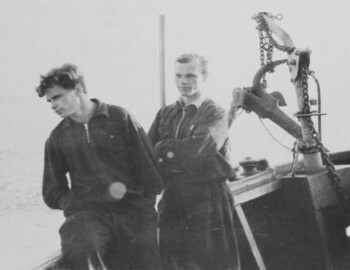 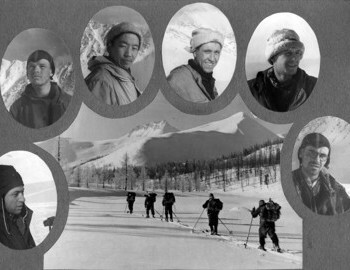 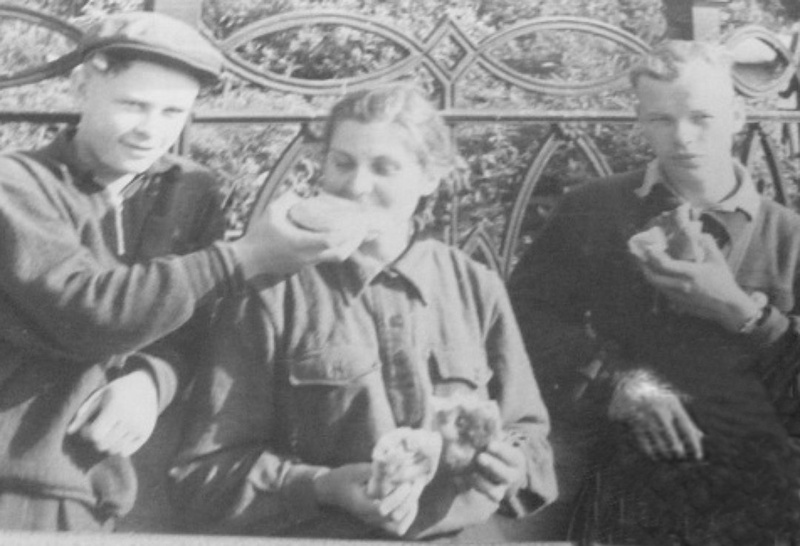 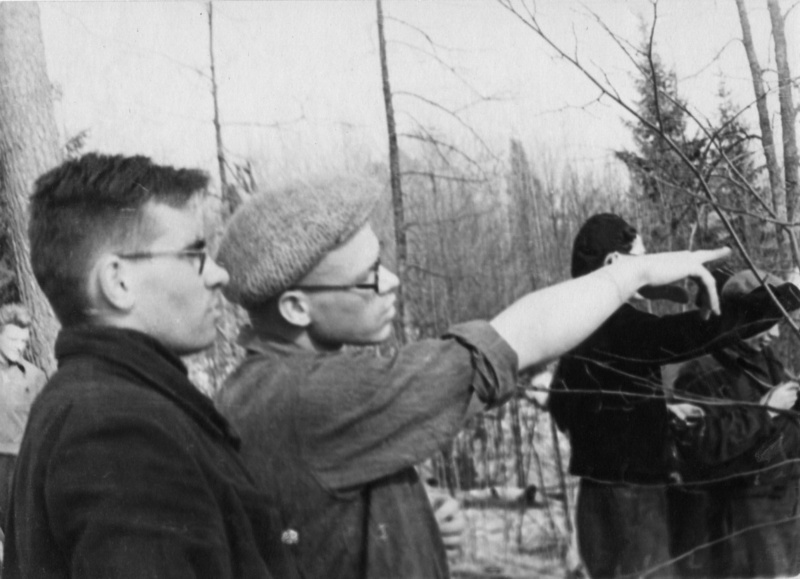 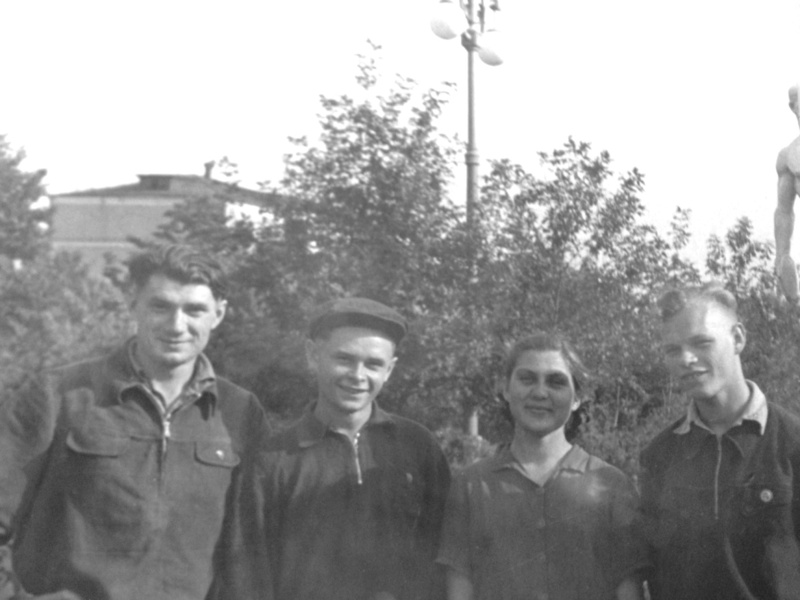 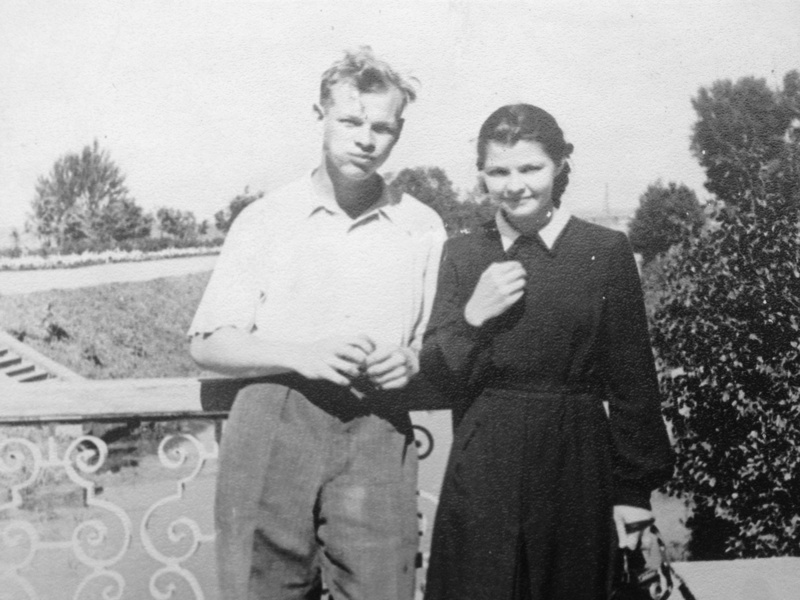 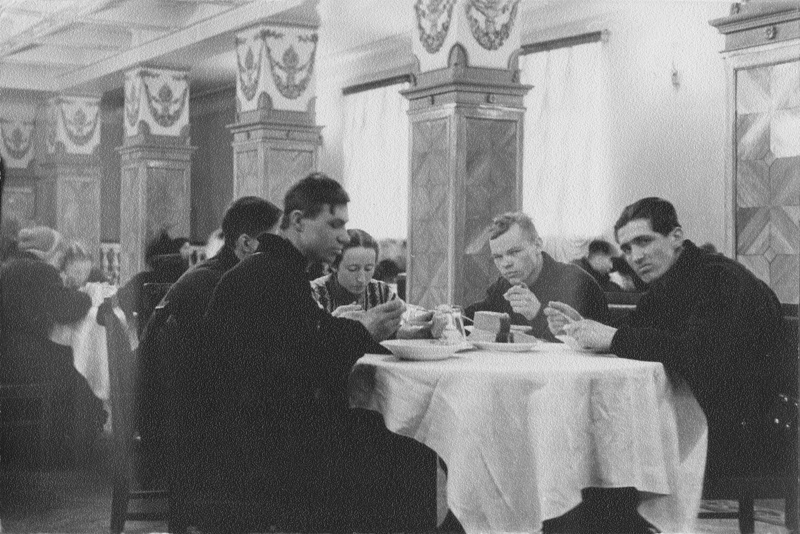 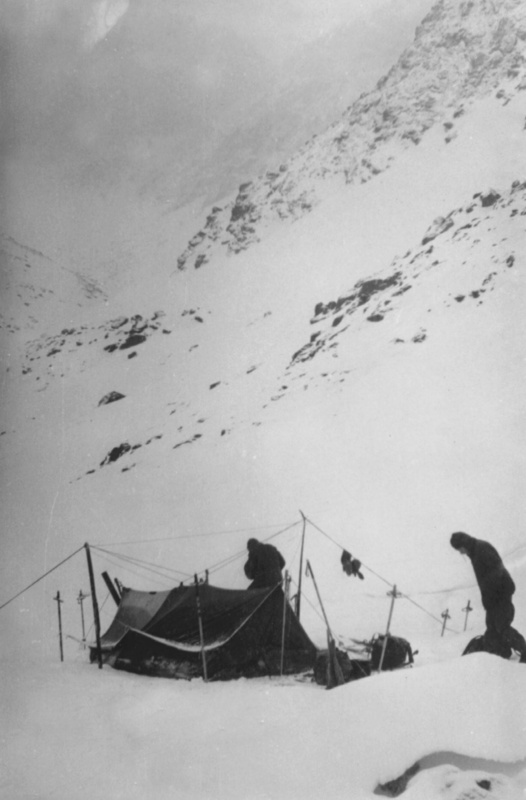 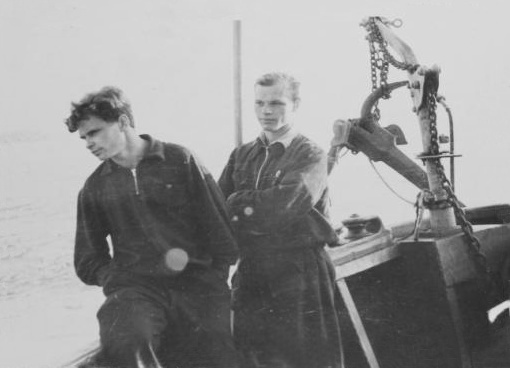 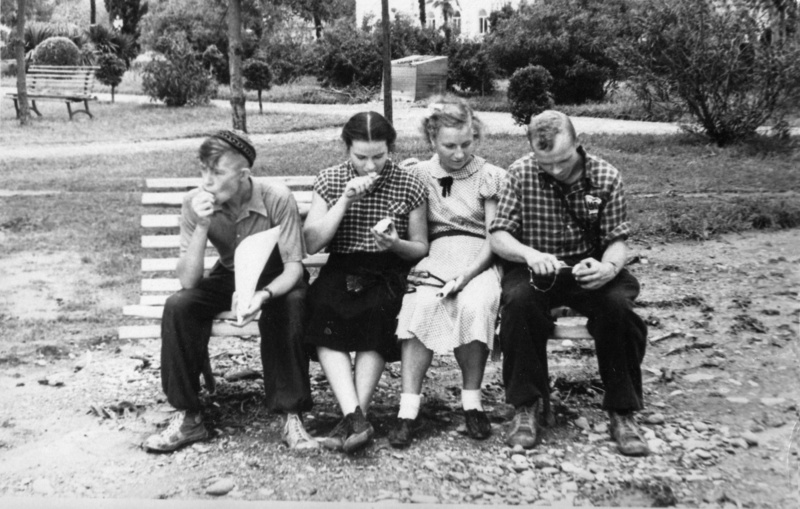 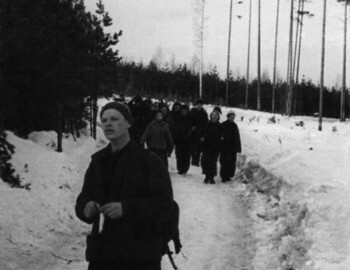 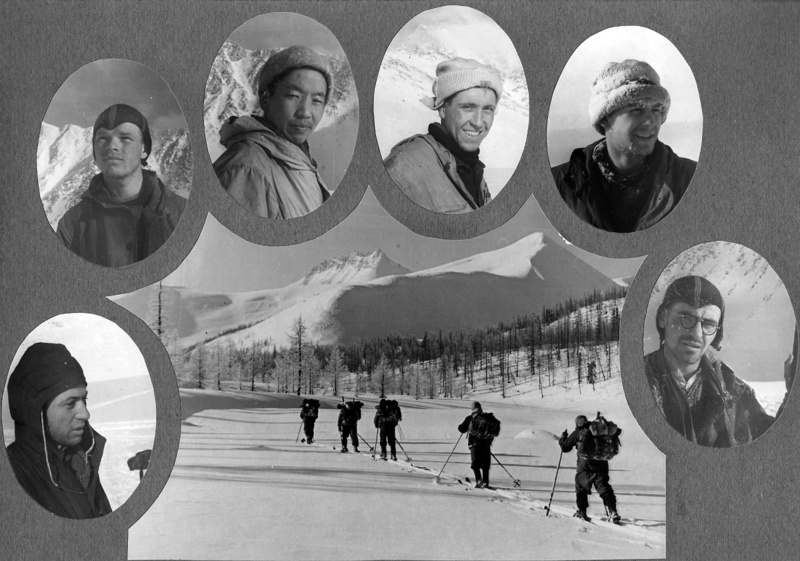 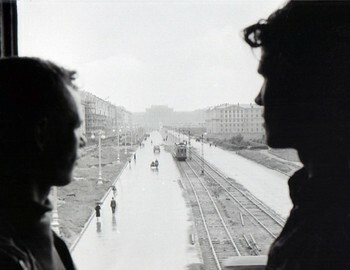 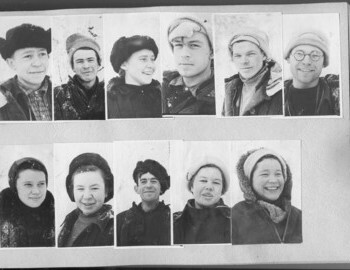 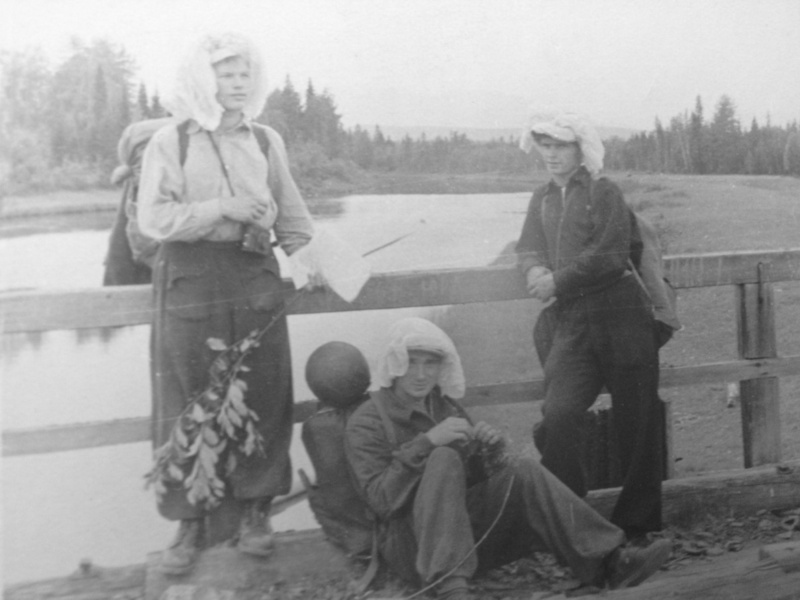 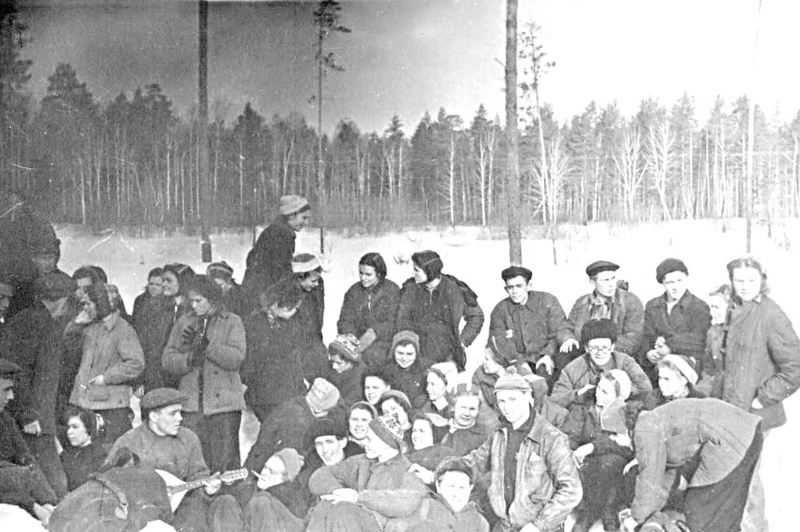 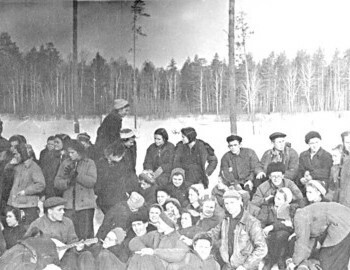 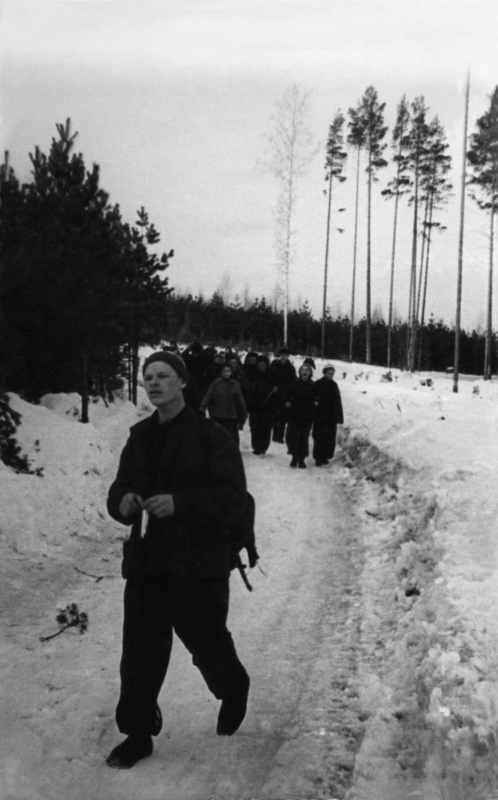 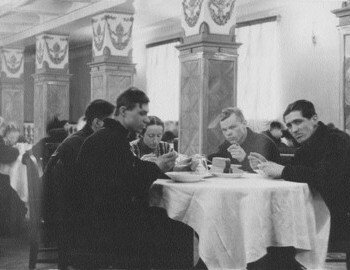 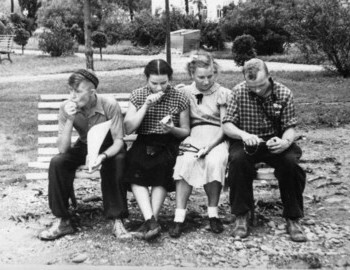 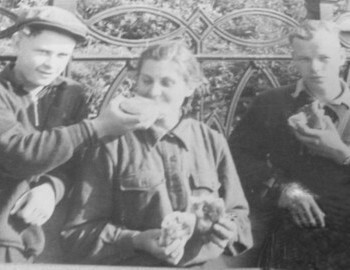 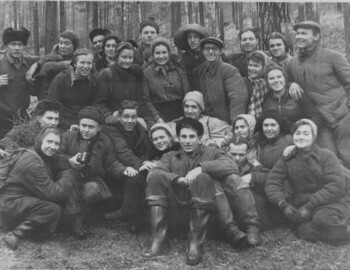 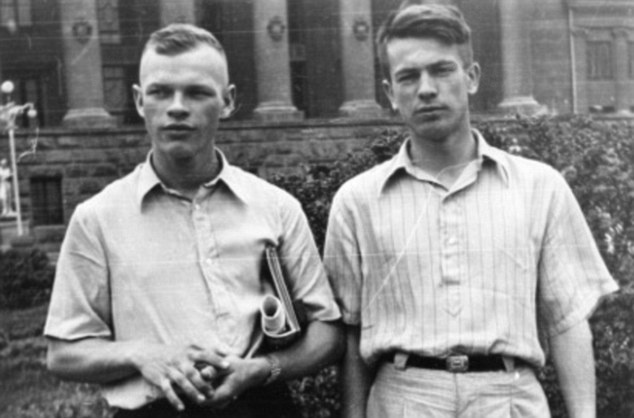 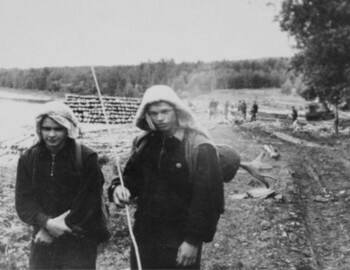 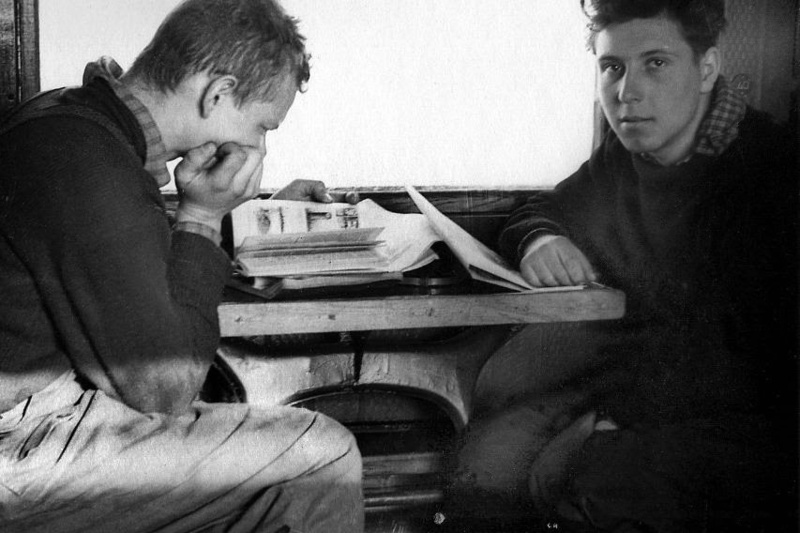 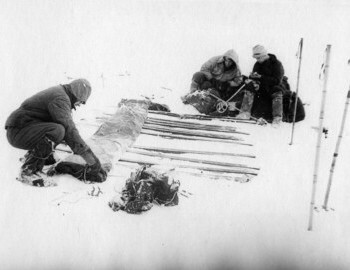 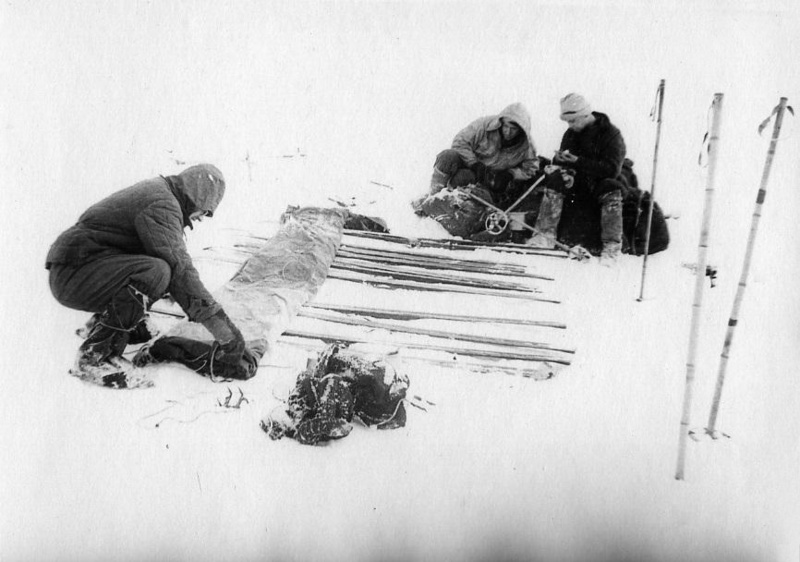 On January 26, 1959, around 2 pm the group arrived in Vizhay. 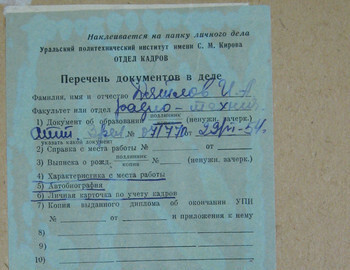 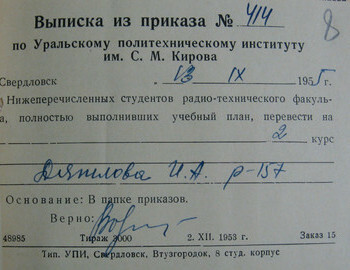 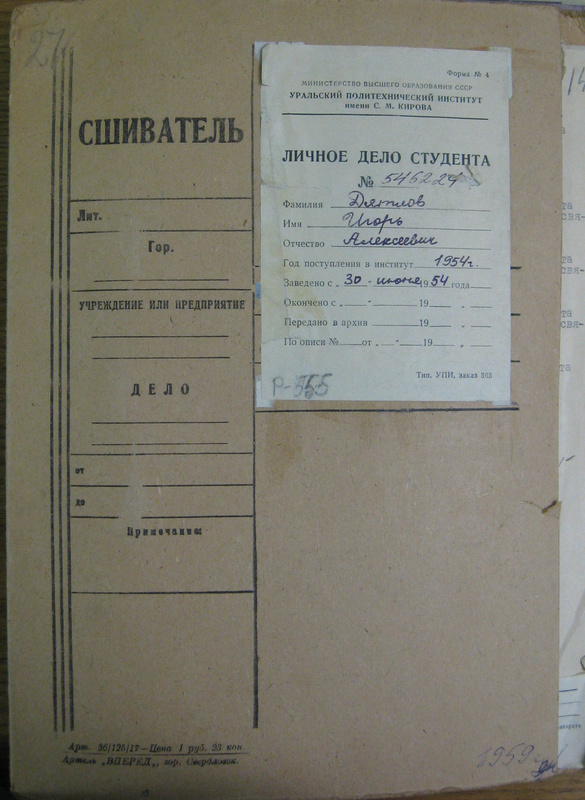 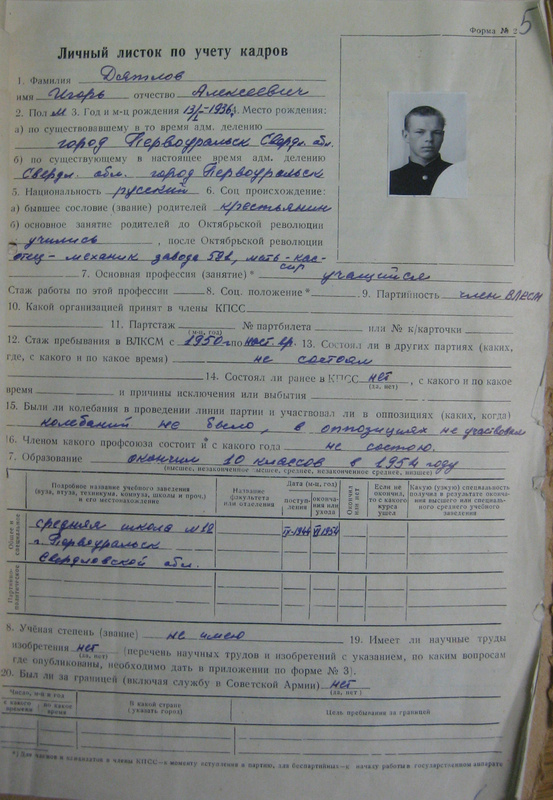 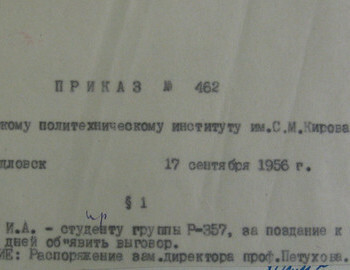 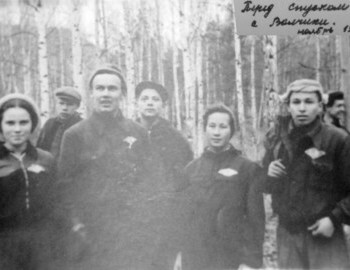 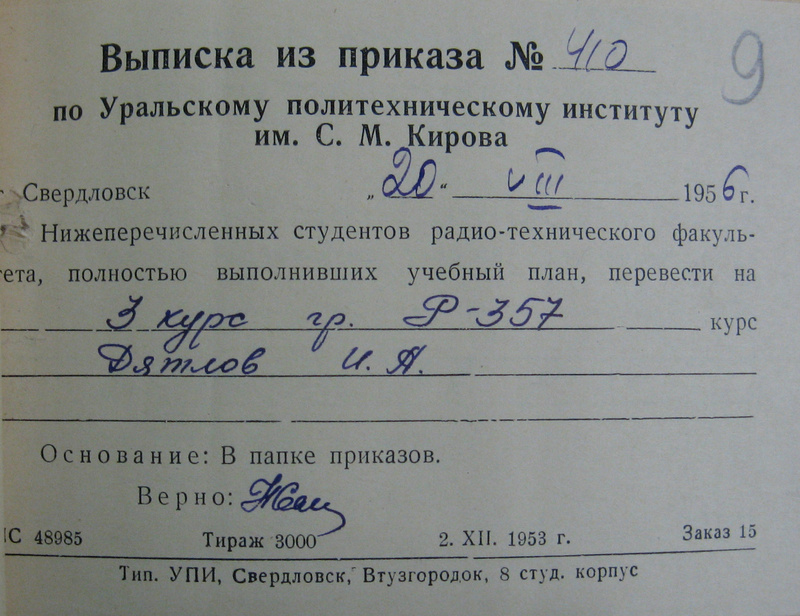 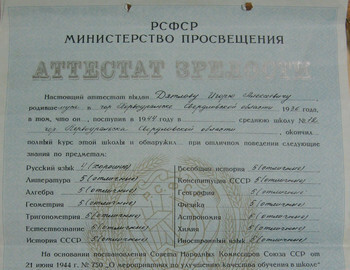 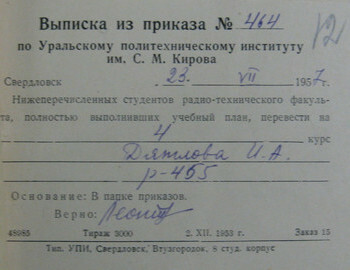 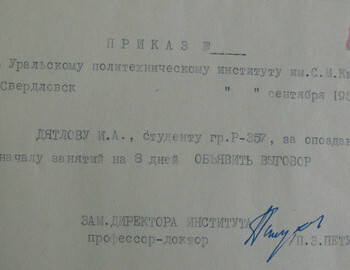 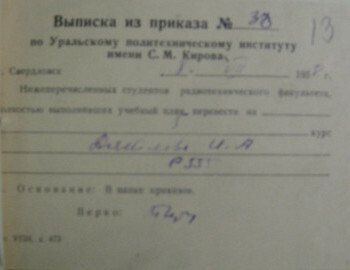 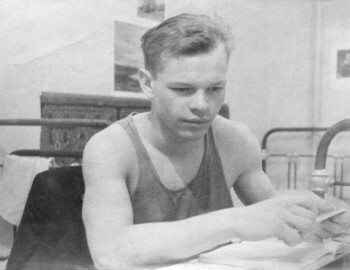 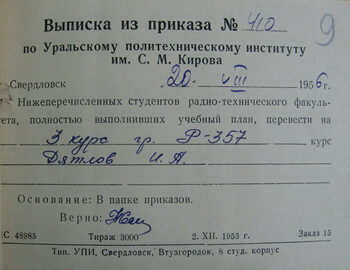 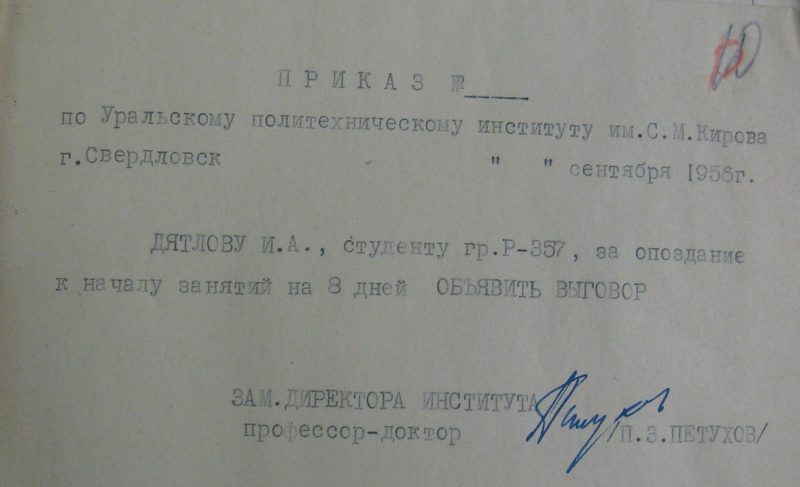 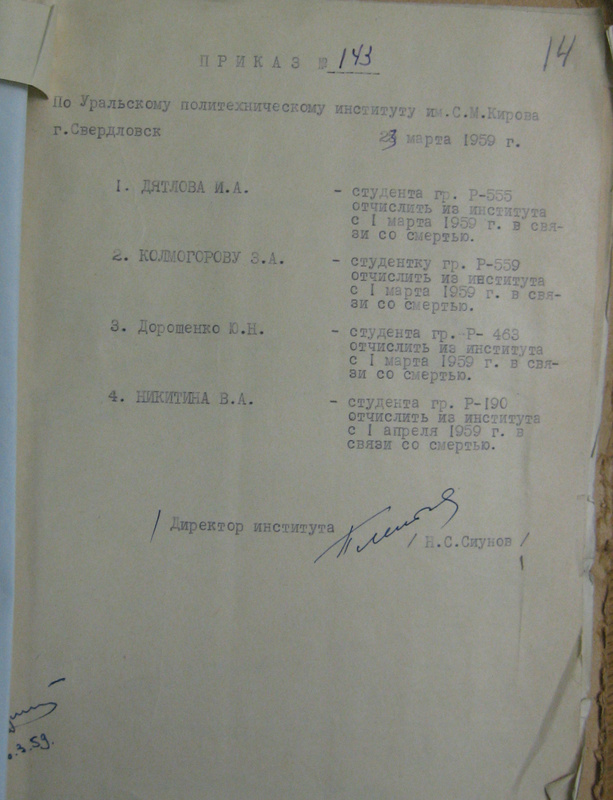 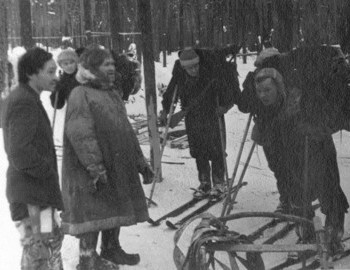 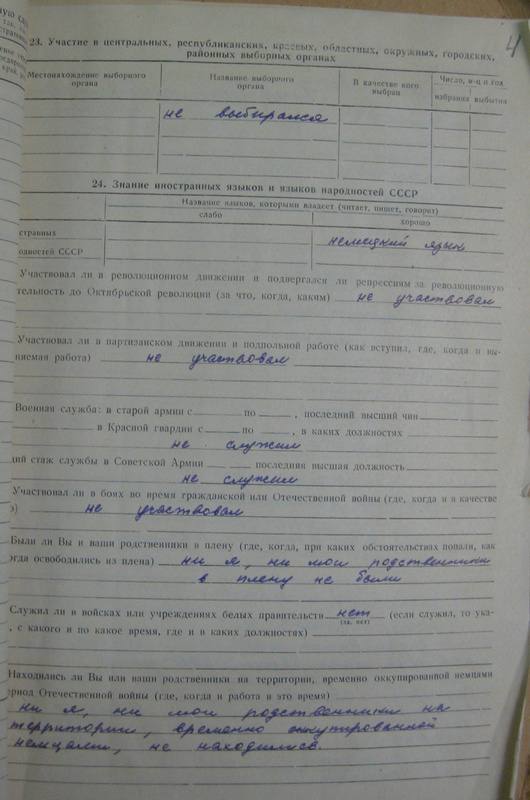 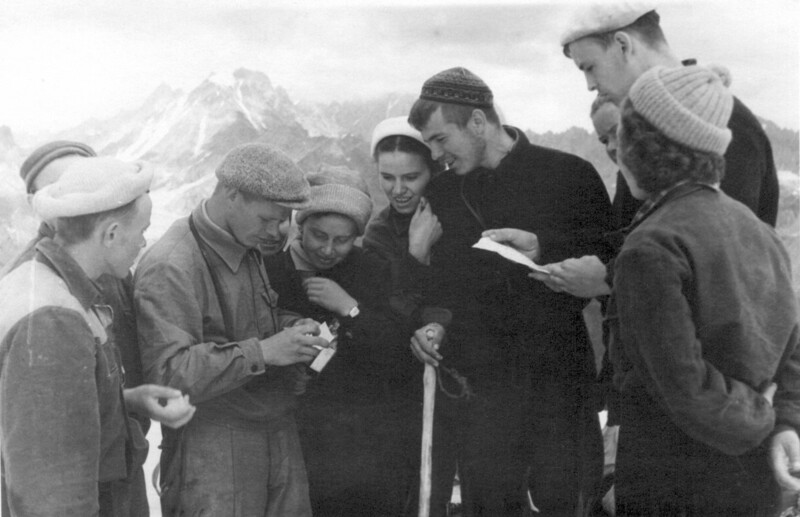 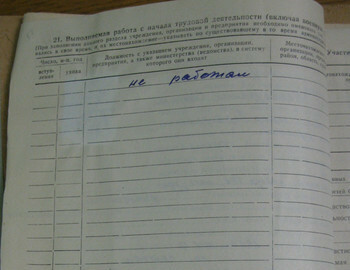 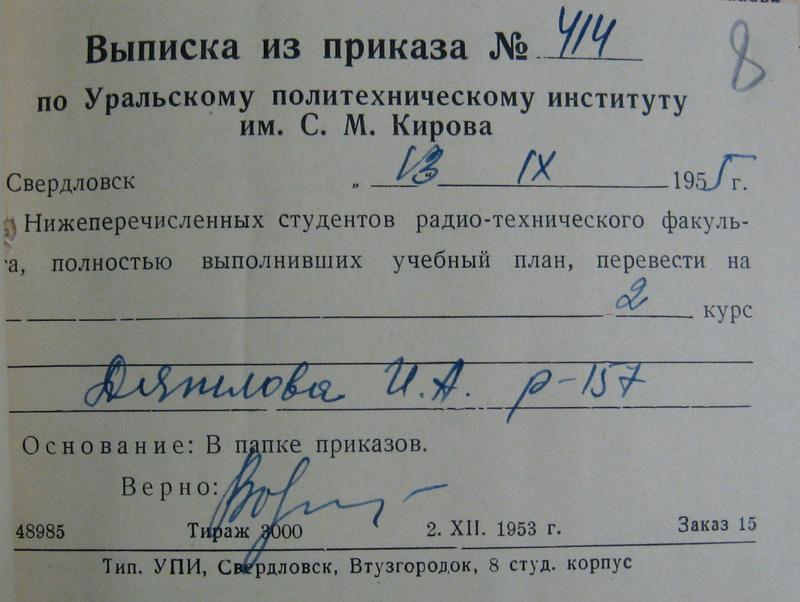 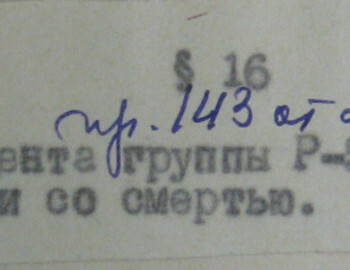 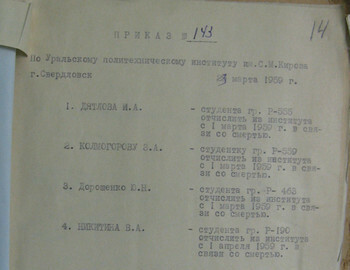 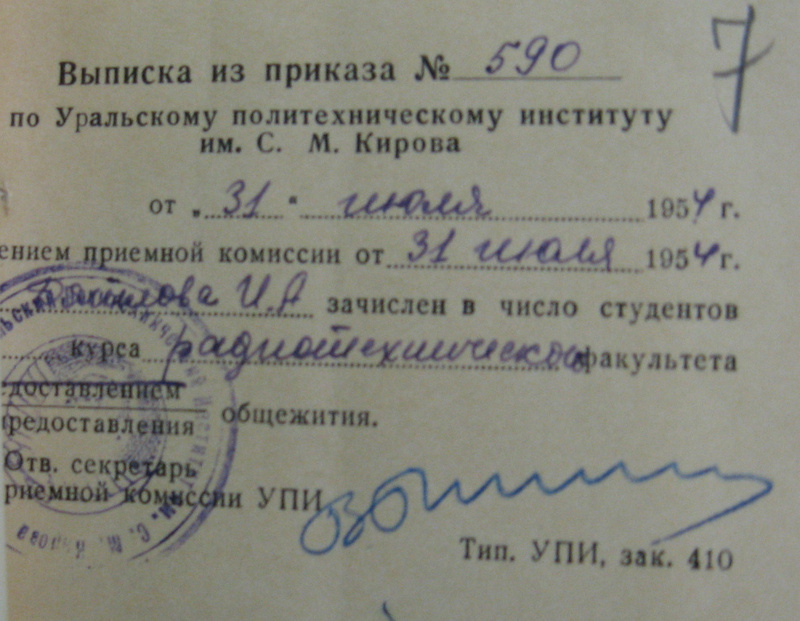 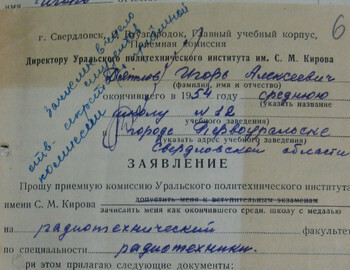 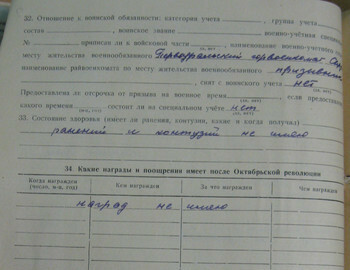 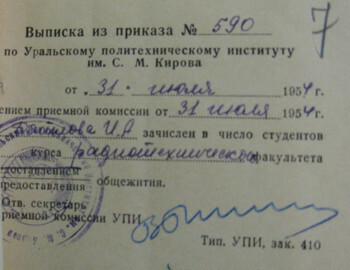 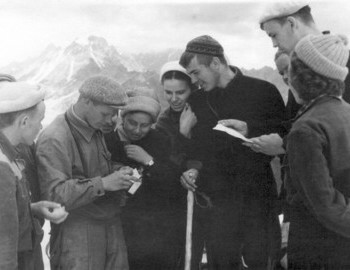 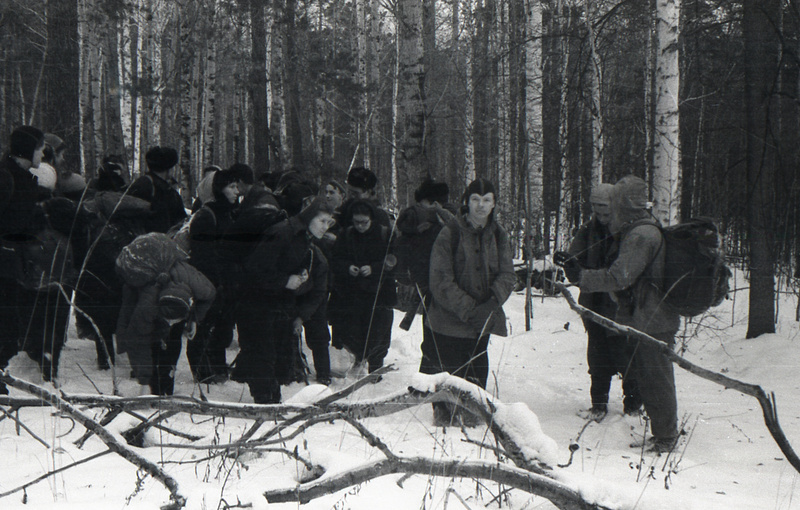 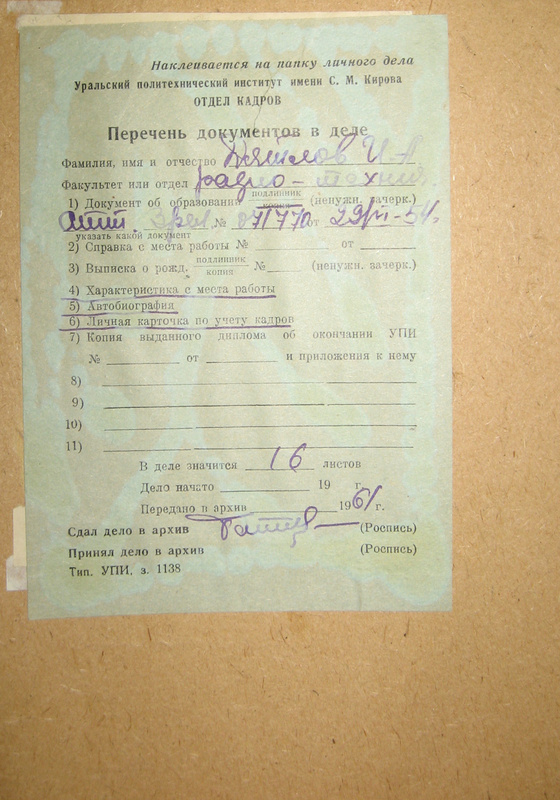 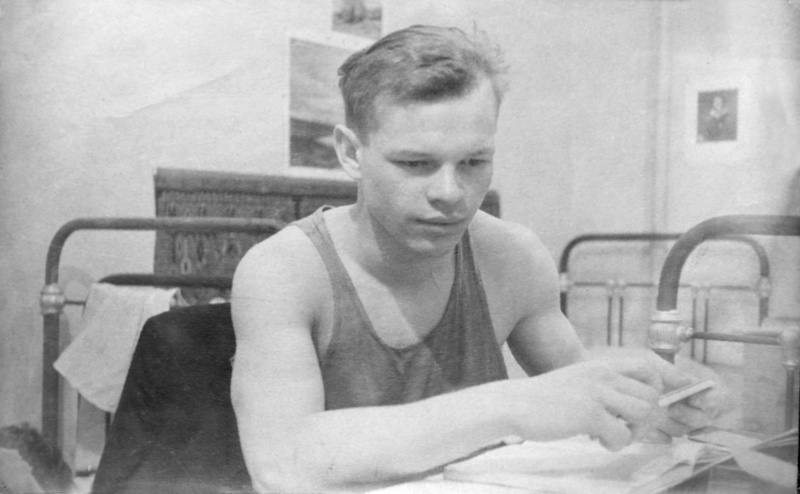 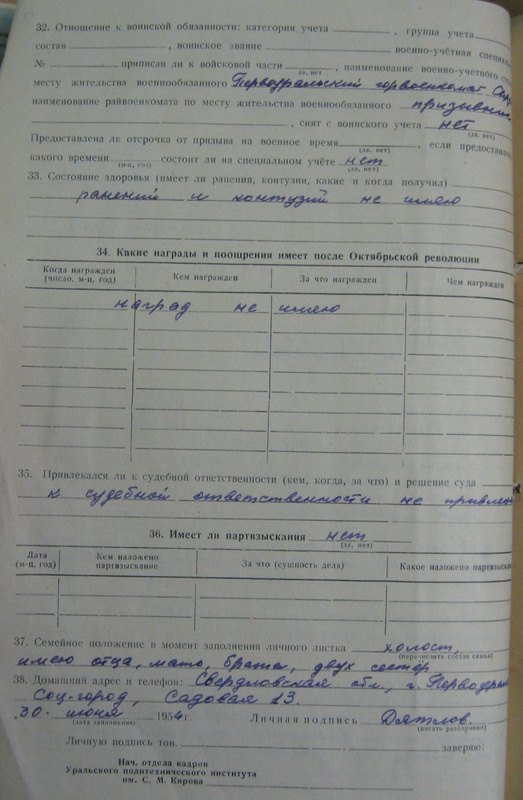 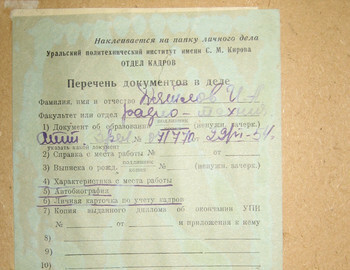 Dyatlov, as the leader of the trek, went to the local post office to send a telegram about their arrival at the checkpoint of the route. 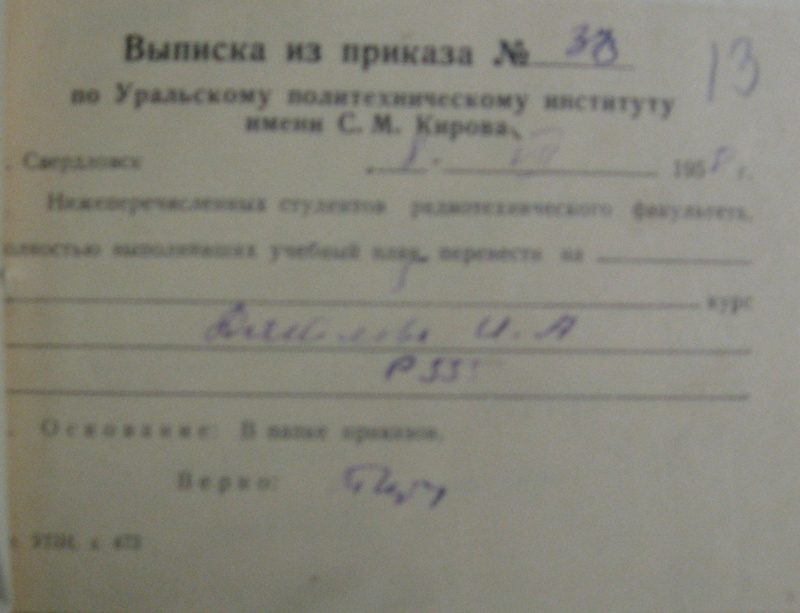 After checking in with AltaMater and the Sverdlovsk Political Bureau of extreme sports Igor asked the operator for a postal card form. 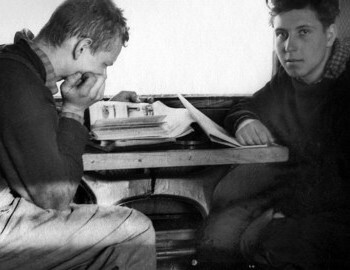 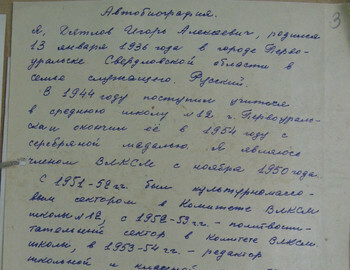 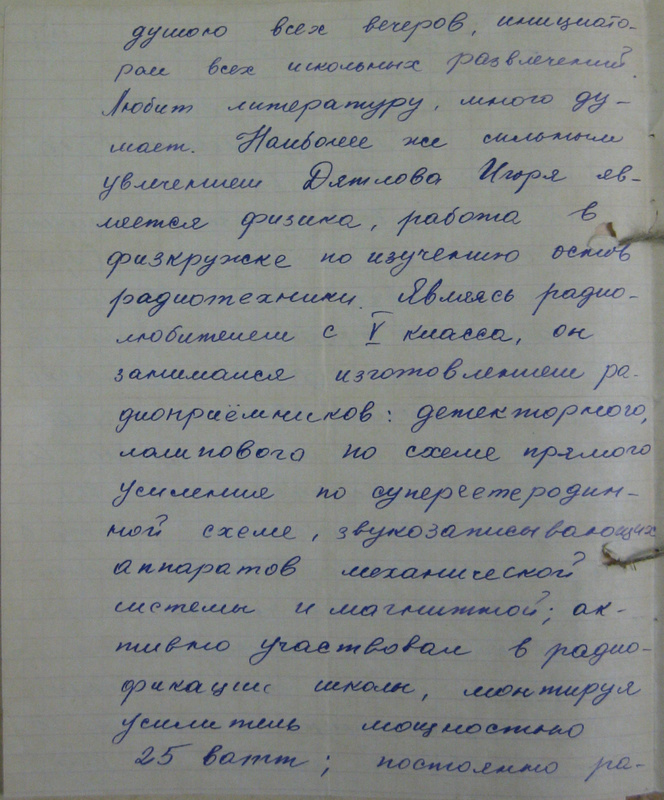 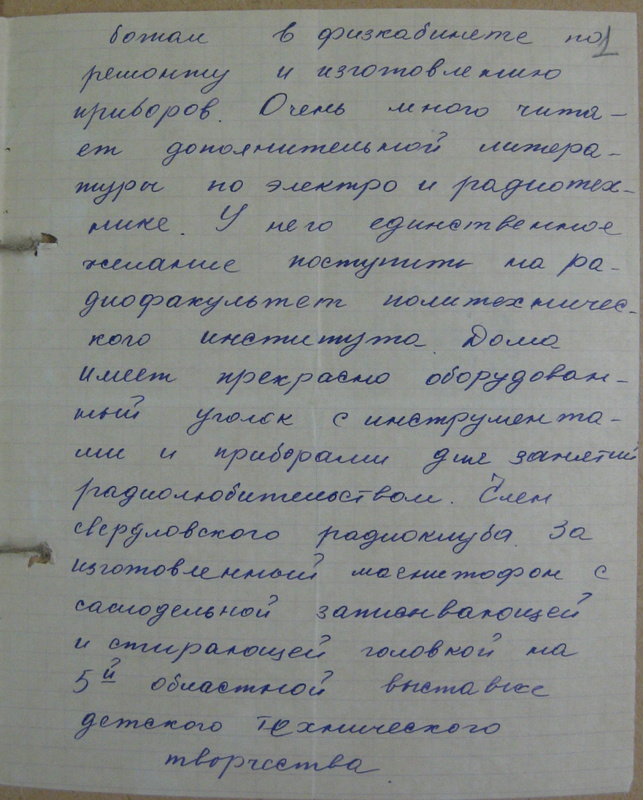 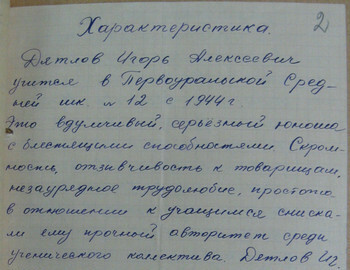 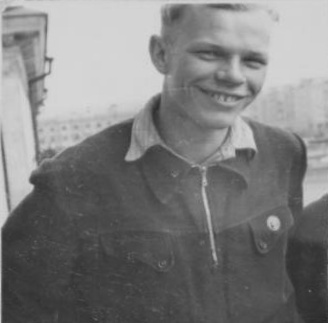 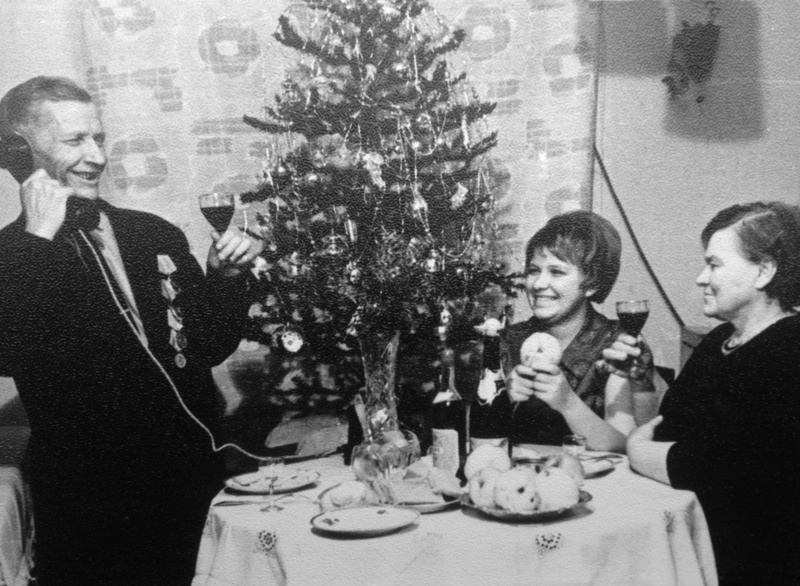 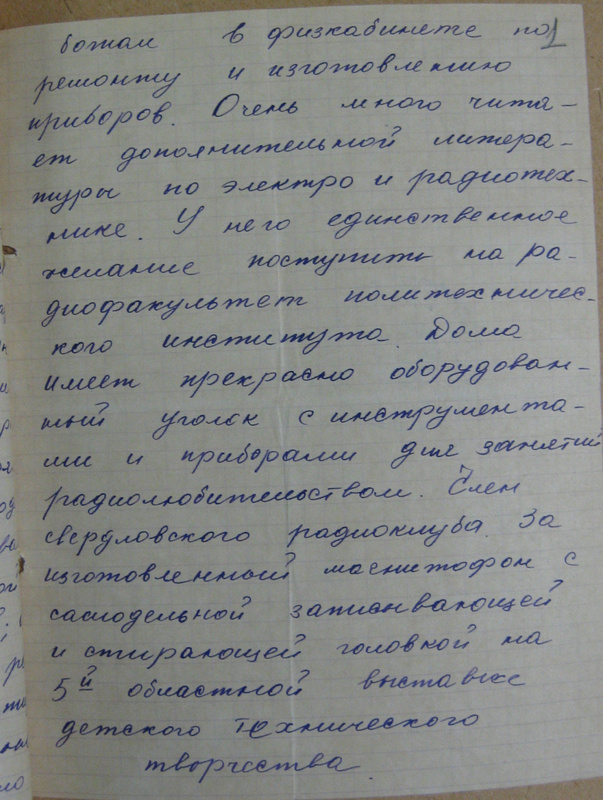 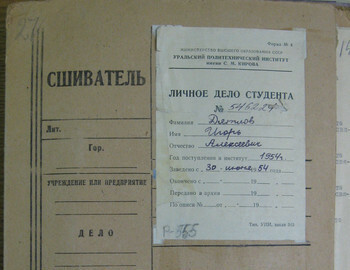 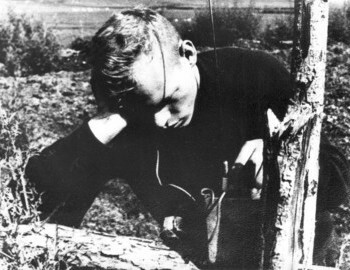 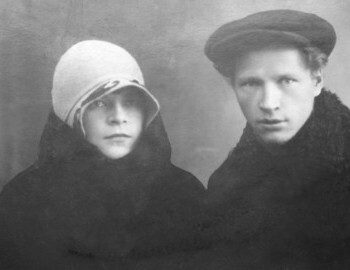 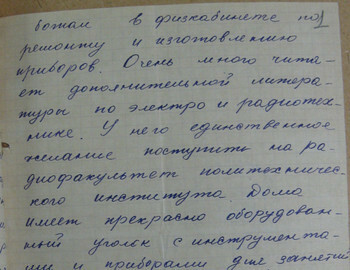 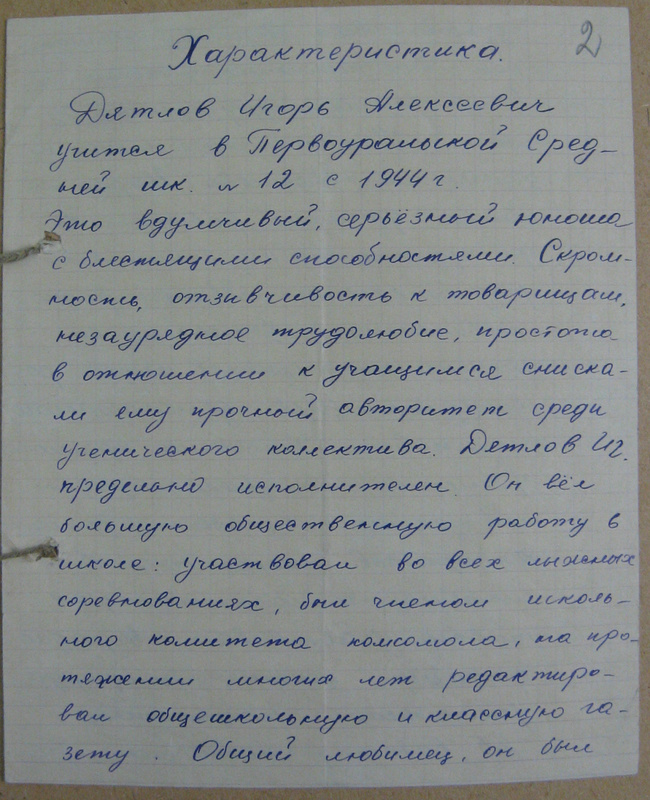 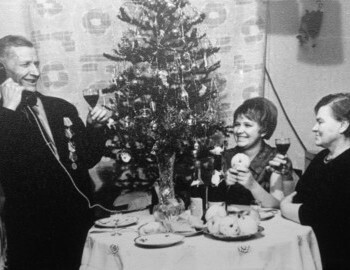 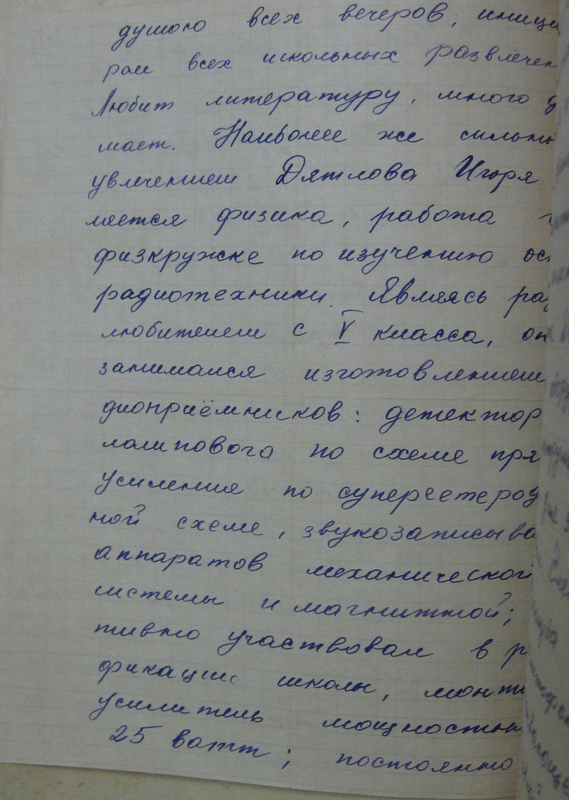 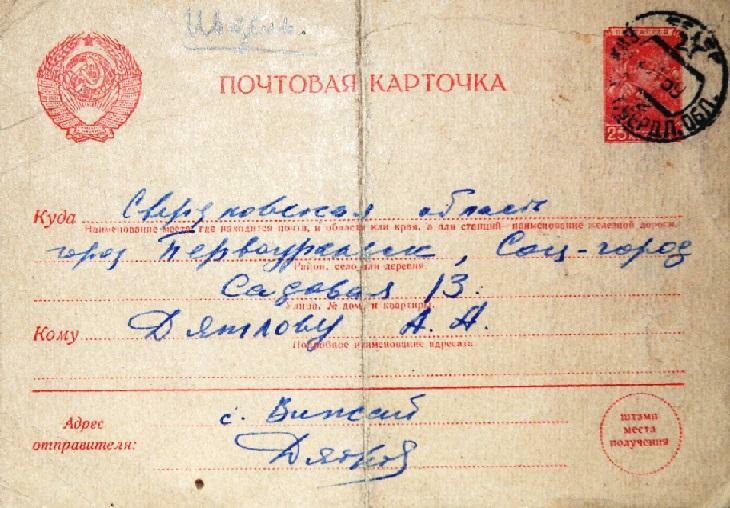 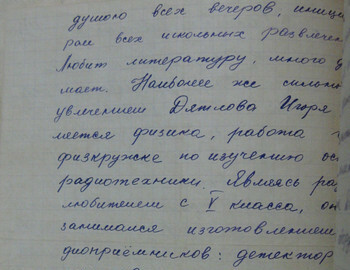 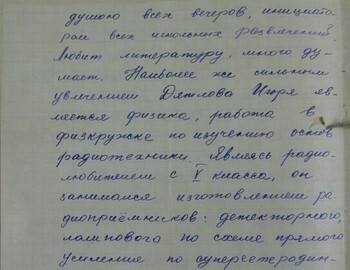 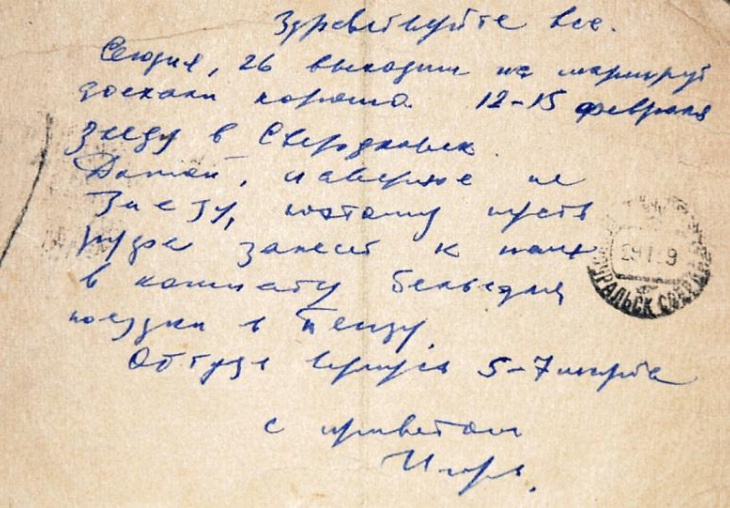 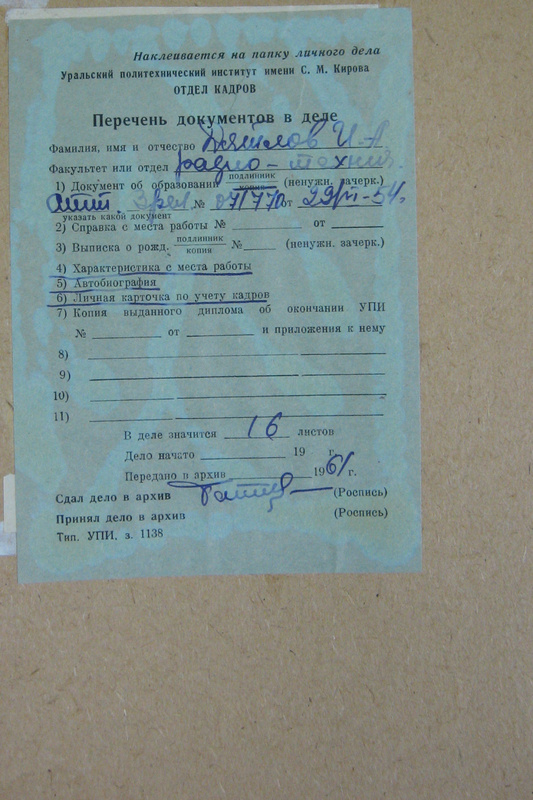 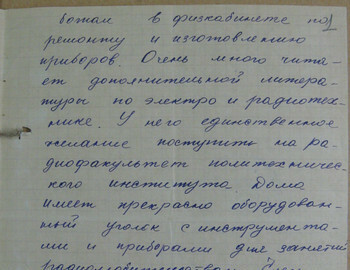 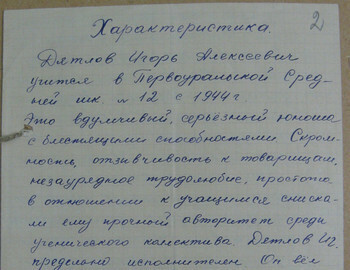 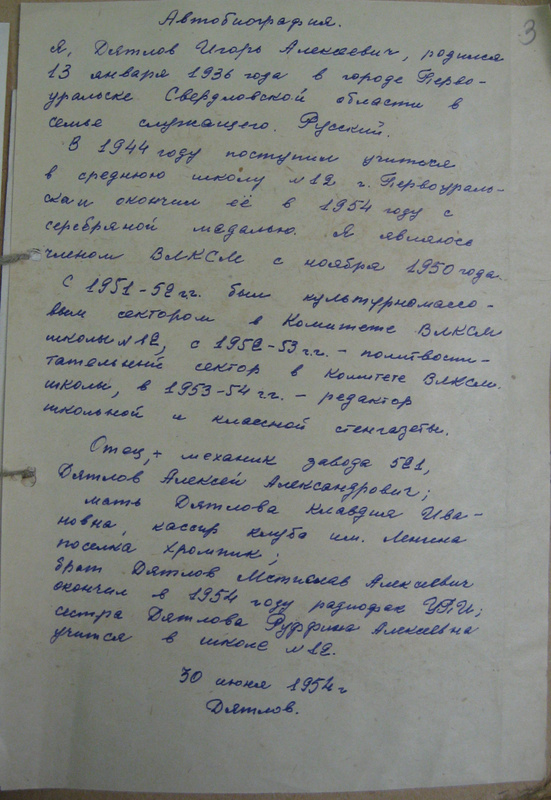 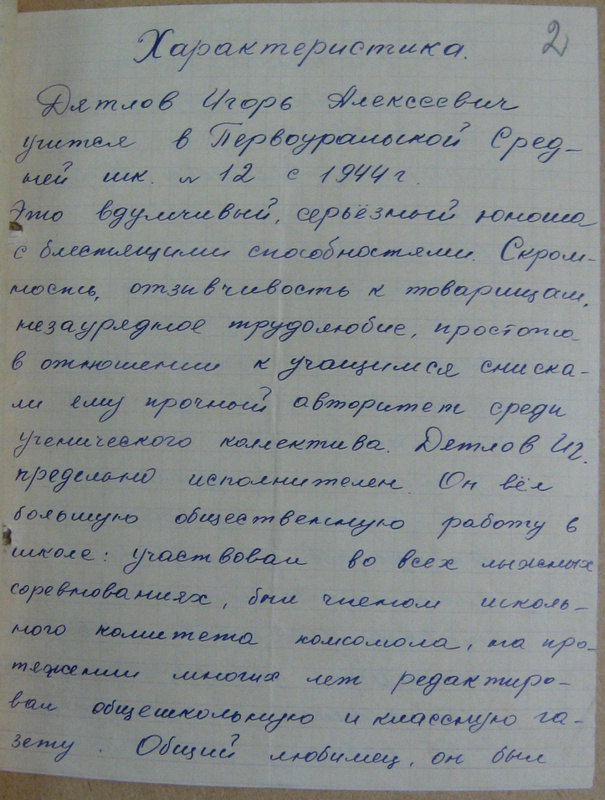 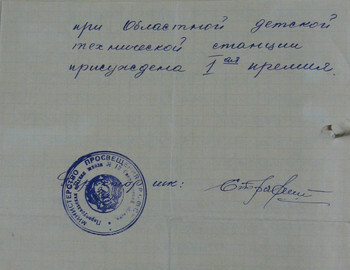 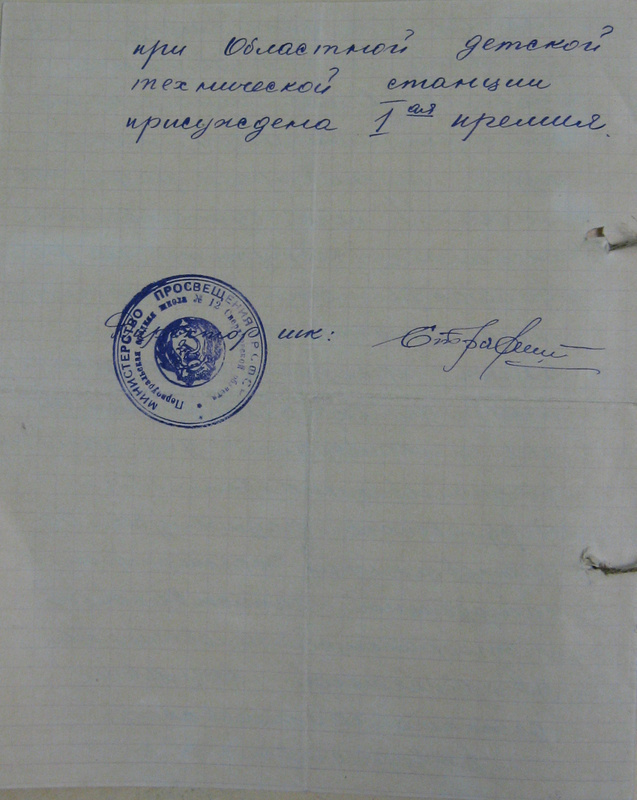 He sent to his father Aleksei Alekseevich Dyatlov in Pervouralsk his last message written on the back of a postal card. 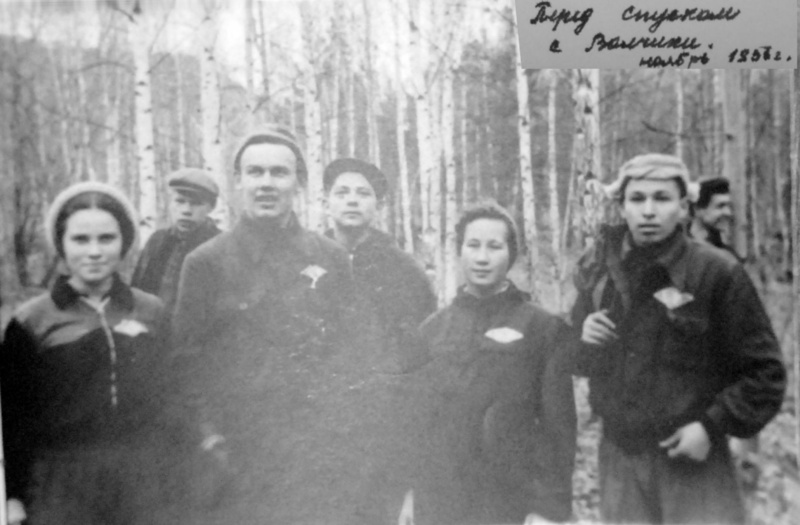 Rufa (Ruffina Alekseevna) is Igor's sister, a pupil in school No.12 in Pervouralsk. 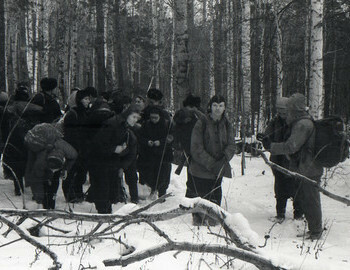 Today, 26, we leave on the route, we arrived well. 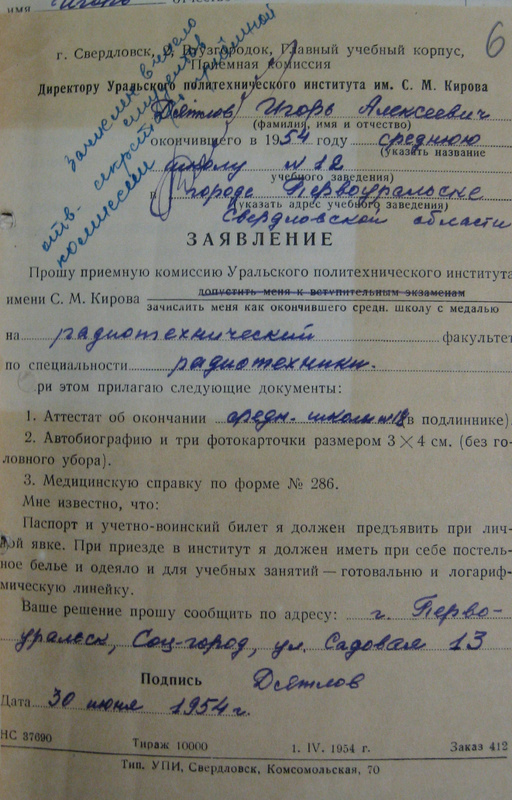 On February 12-15 I will visit Sverdlovsk. 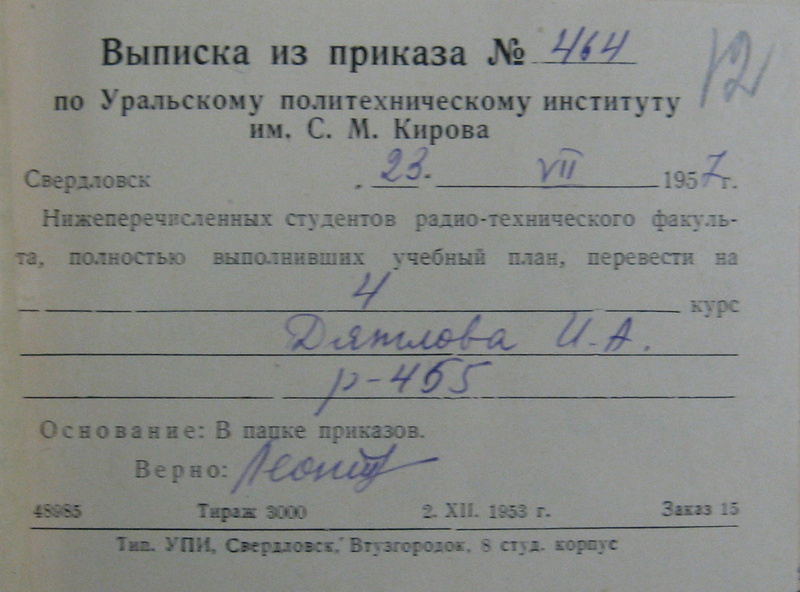 I probably will not go home, so let Rufa bring linen to our room for a trip to Penza. 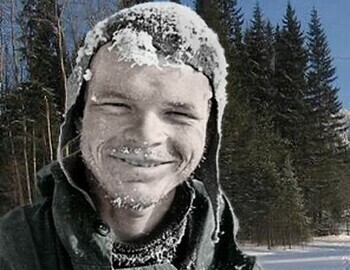 From there I will return on March 5-7.